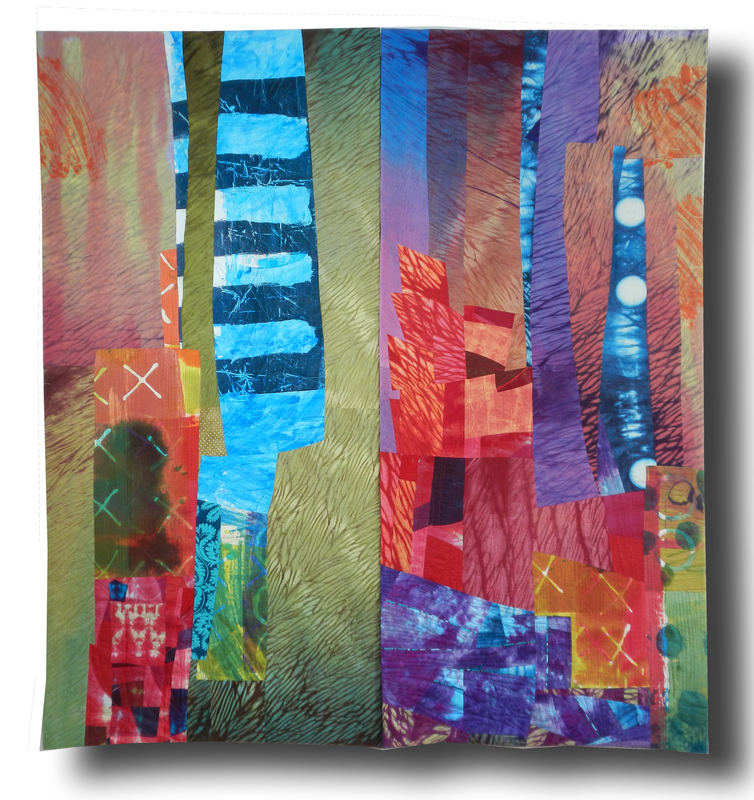 Each day of this workshop is devoted to a different composition challenge. 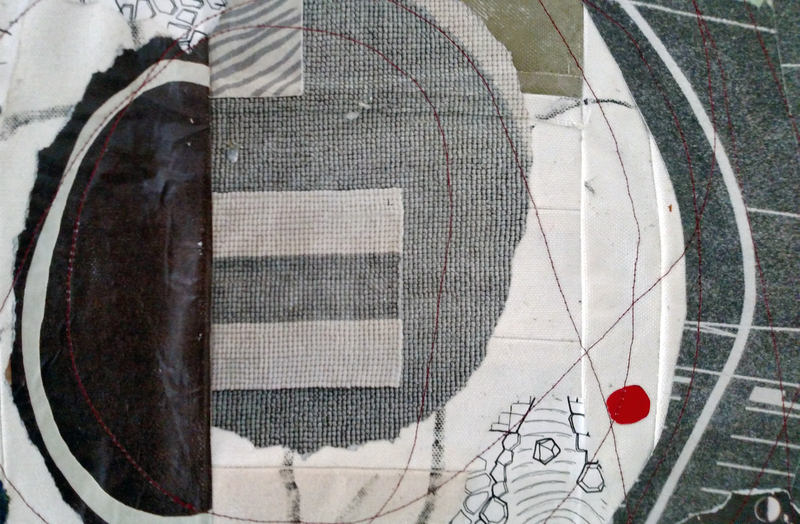 Day one explores squares and rectangles, day two experiments with curvilinear shapes, day three works with collage-and-cut process, and day four deals with landscape. 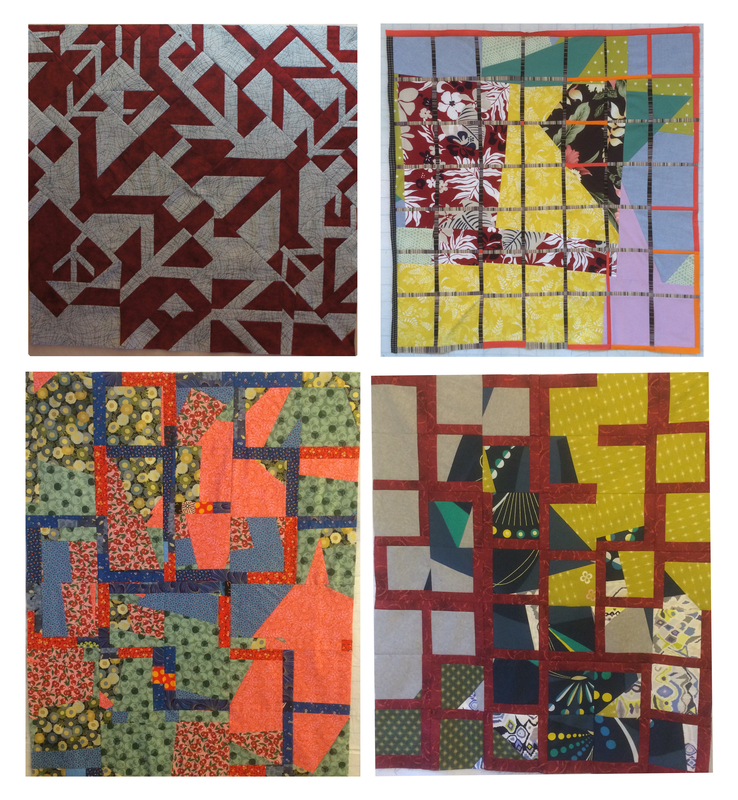 Using step-by-step directions with lots of creative options, each student makes four small quilts (about 16” x 20”) using Sue’s fusible techniques. 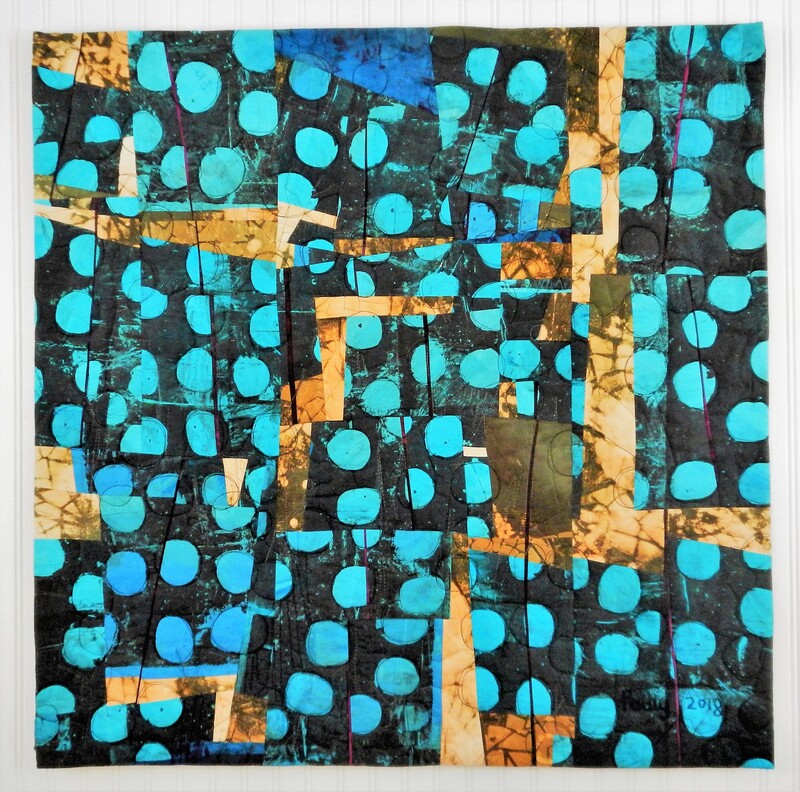 Sue also covers fusible basics, working with non-traditional fabrics, and briefly covers quilting, blocking, and binding. By the end of this workshop experience, construction ideas will abound! 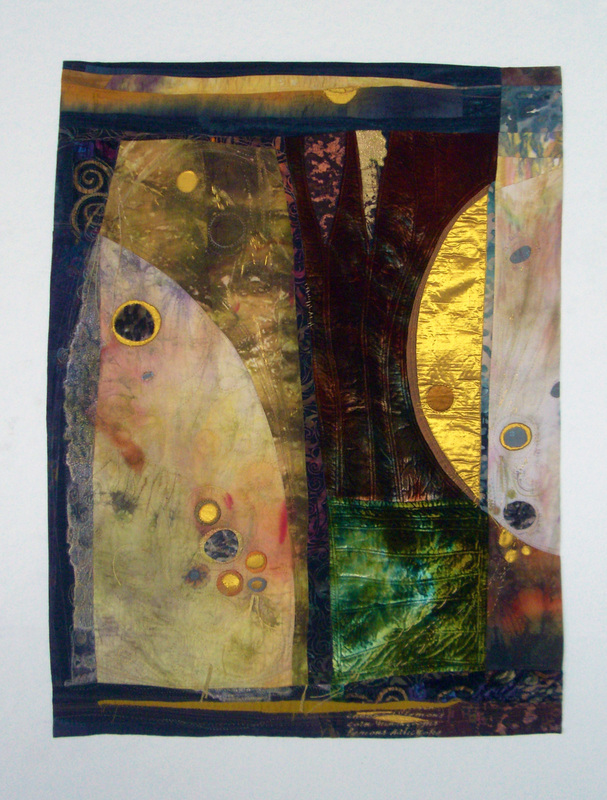 Artistic themes can be technical and conceptual. 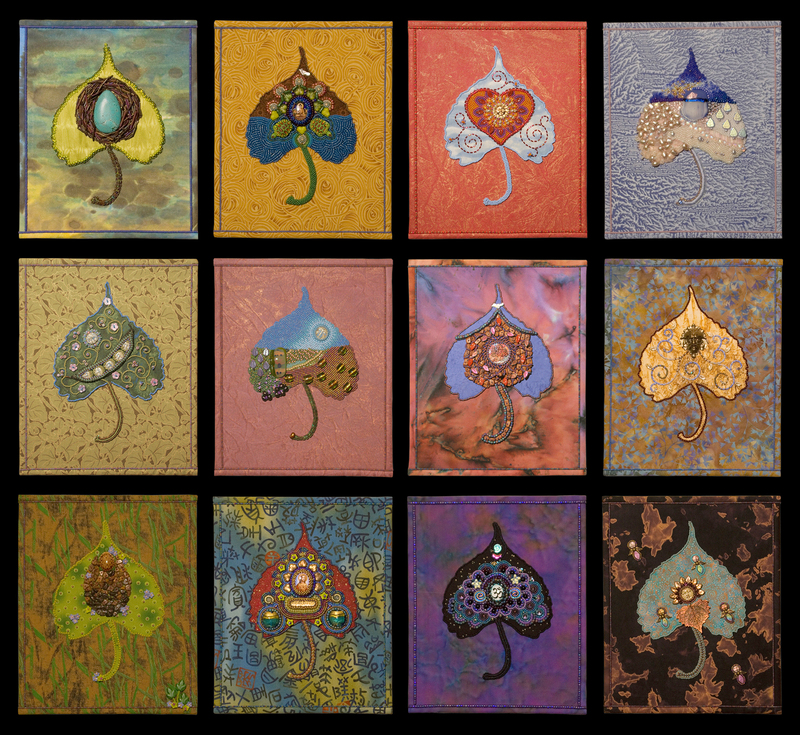 They can be found in the consistent use of particular techniques, shapes, images, palettes or concepts. 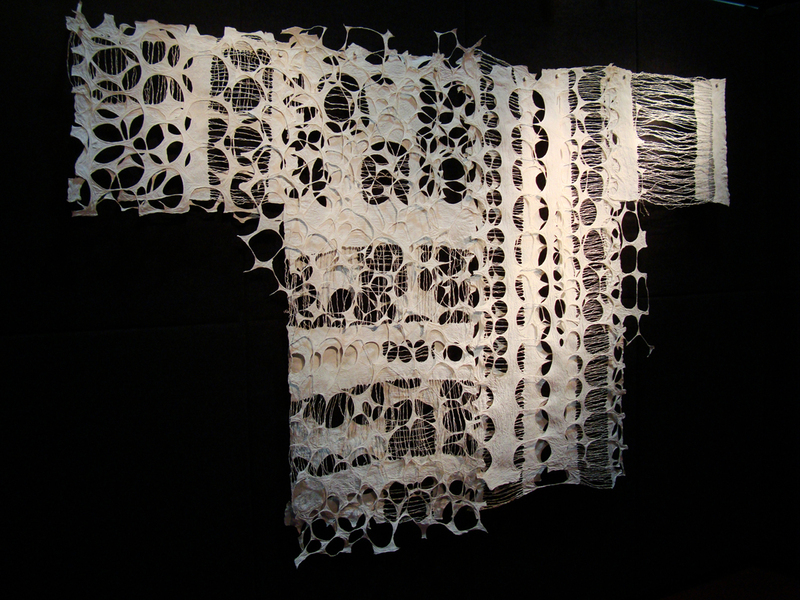 Hand stitching lends itself beautifully to both technical and conceptual theme development. 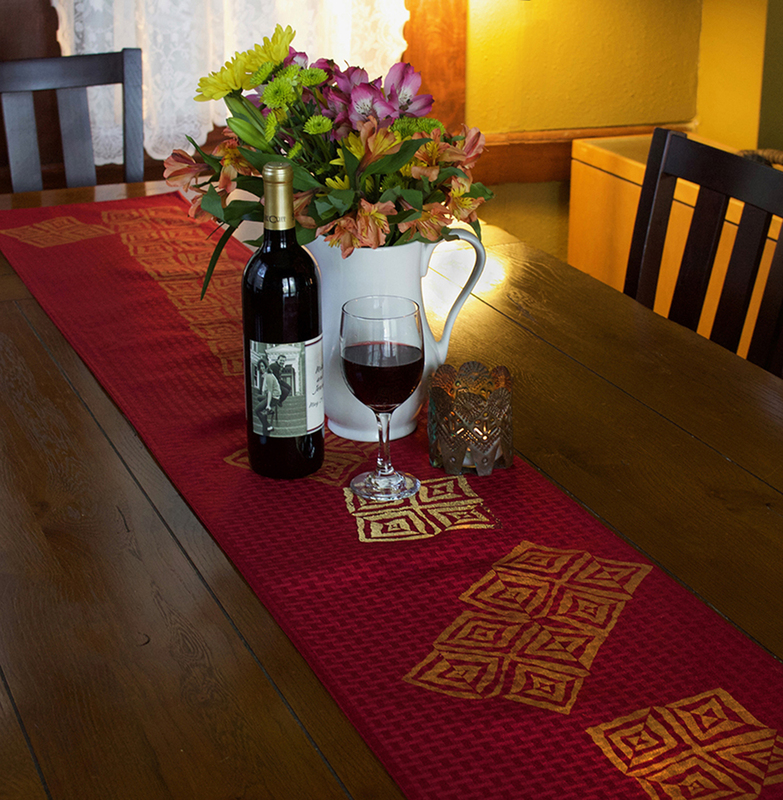 Bead and thread embroidery can be used to boldly define solid shapes, subtly suggest translucent shapes, and everything in between. 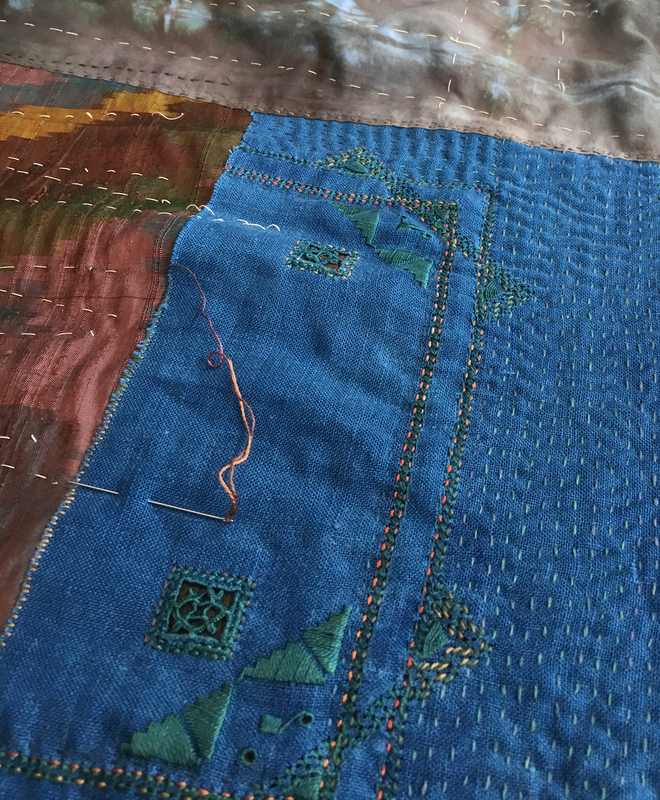 Hand stitching with beads and thread can be used to create powerful line work, visual movement, and expressive, engaging textures. 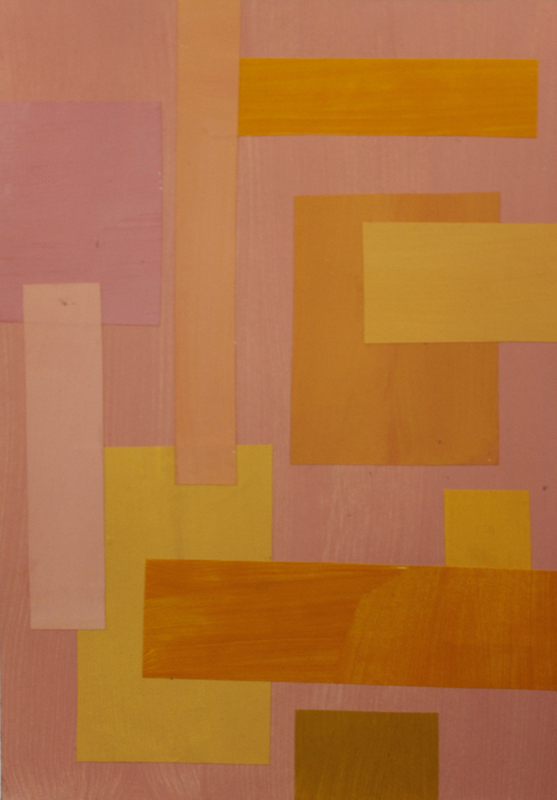 It can also be used to highlight both positive and negative space in works of art. 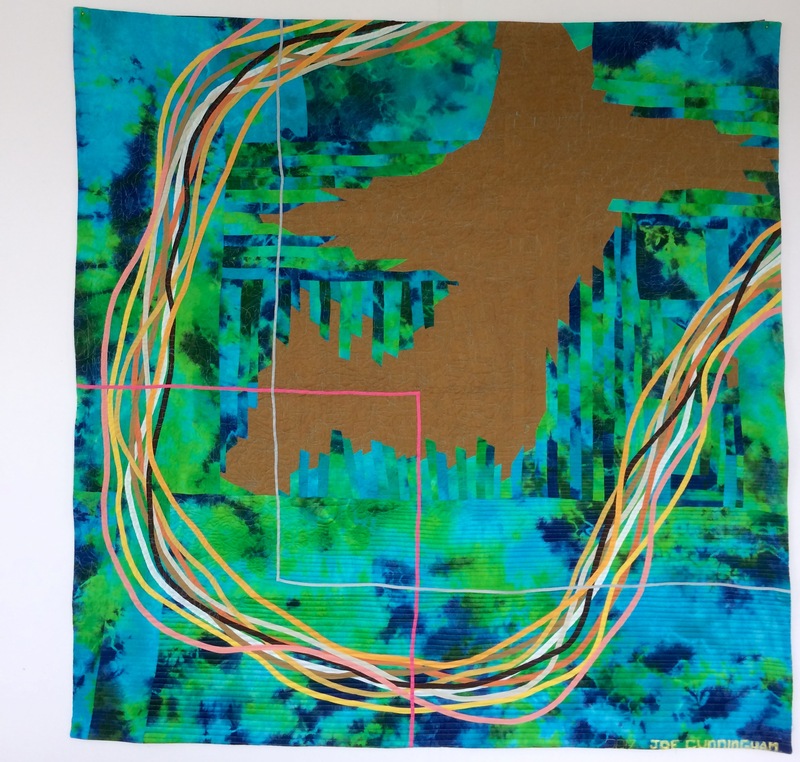 In this five-day workshop, students explore ways to develop personal themes and variations on those themes in order to create a small series of related mini works in fiber art (art quilts, embroideries, etc. 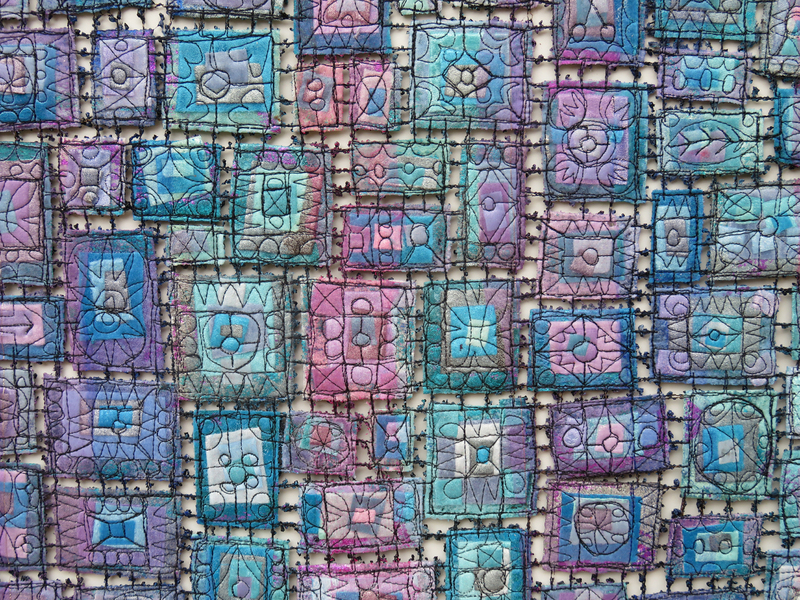 ), each of which features hand stitching with beads and threads. 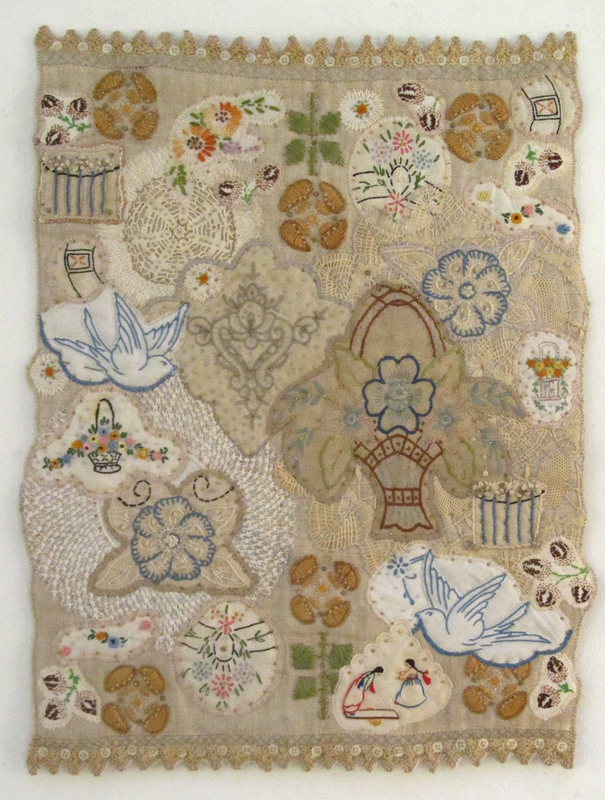 Each day will be a combination of bead embroidery and thread embroidery technique demonstrations, viewing examples of technique applications, group discussion and individual sketch and stitch explorations of ways to use and build on the techniques introduced. Time will also be dedicated to group discussion of works in progress and individual feedback by the teacher that is both supportive and idea-stimulating. 3. Joomchi and Beyond: Why Not? 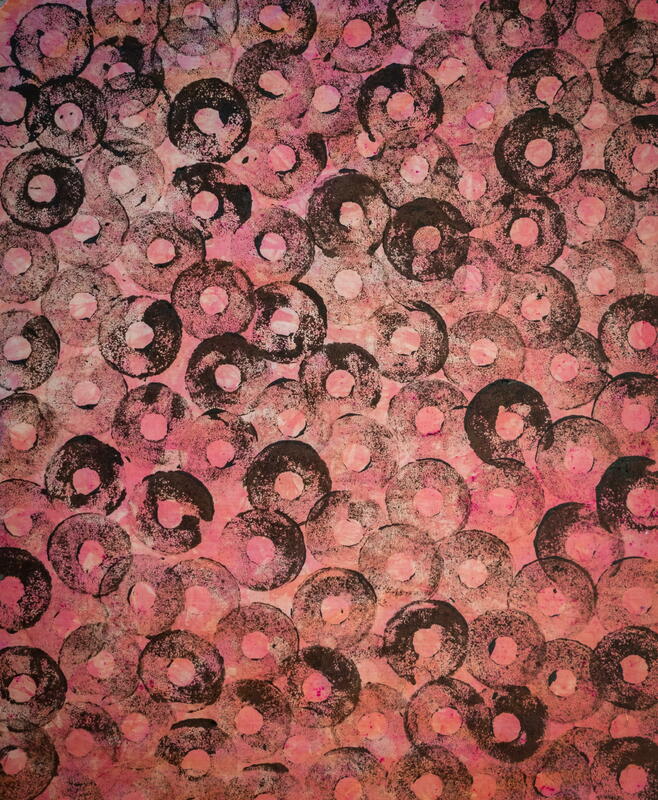 Joomchi is a unique Korean traditional way of making textured handmade paper using water and eager hands. The terminology originated from the meaning of the phrase, “making a Joomoney (pouch)”. 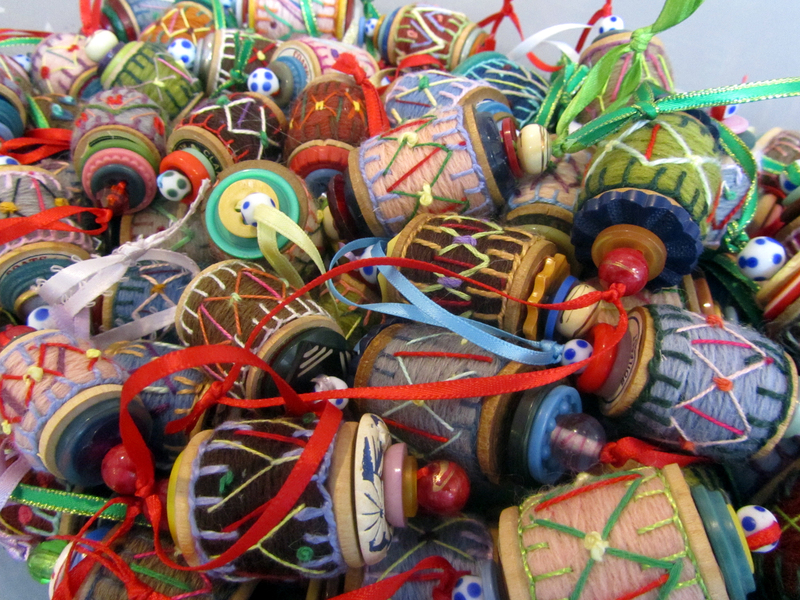 Record says that the Koreans started making Joomchi during the Goryeo Dynasty, 918 – 1392 AD. There are a few remaining Korean treasures made with this technique: purses, folding pouch, outfit for rain, etc. 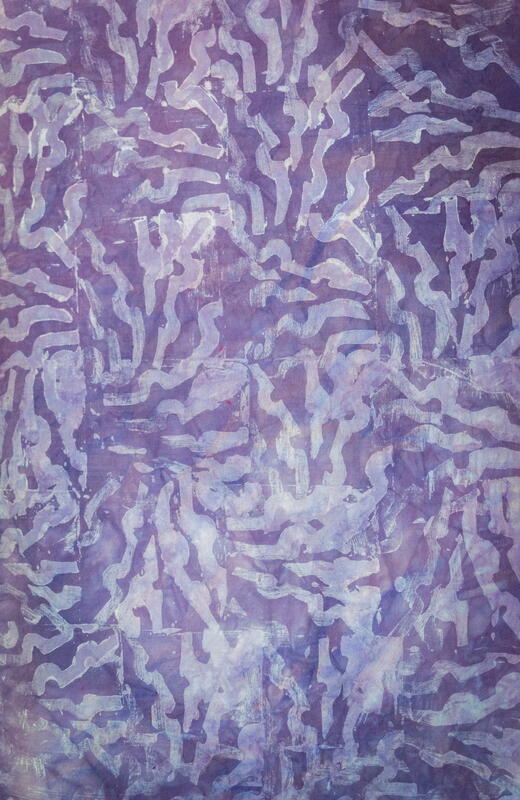 Joomchi creates strong, textural and painterly surfaces by layering and agitating Hanji (Korean mulberry papers), which is durable and creates an elegant-looking surface. 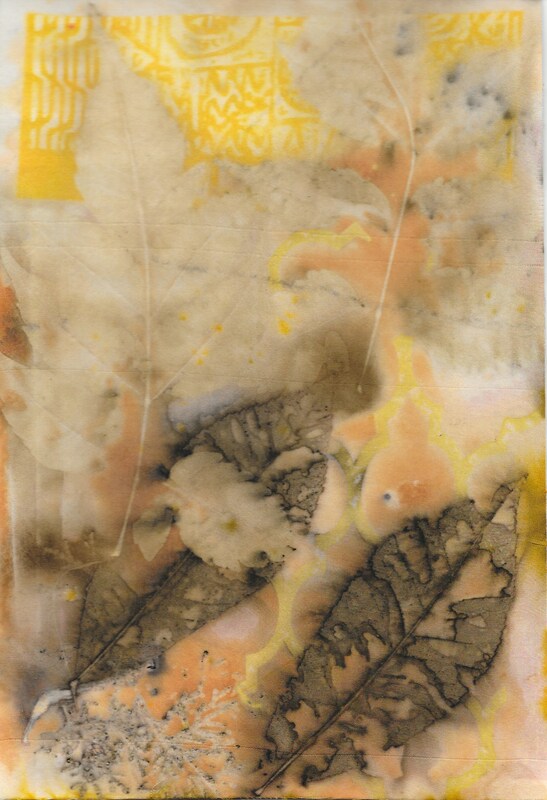 As time goes on, the surface becomes more and more elegant and aged looking; surfaces sometimes look like leather. 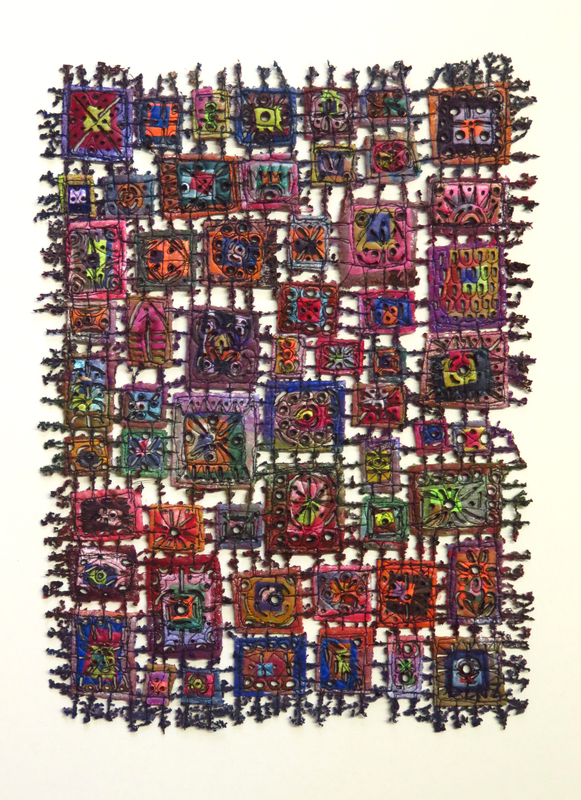 This class offers students the opportunity to become acquainted with Joomchi's history, usage and role in Korean society, as well as the hands-on techniques and reinterpreted adaptations into contemporary art form. 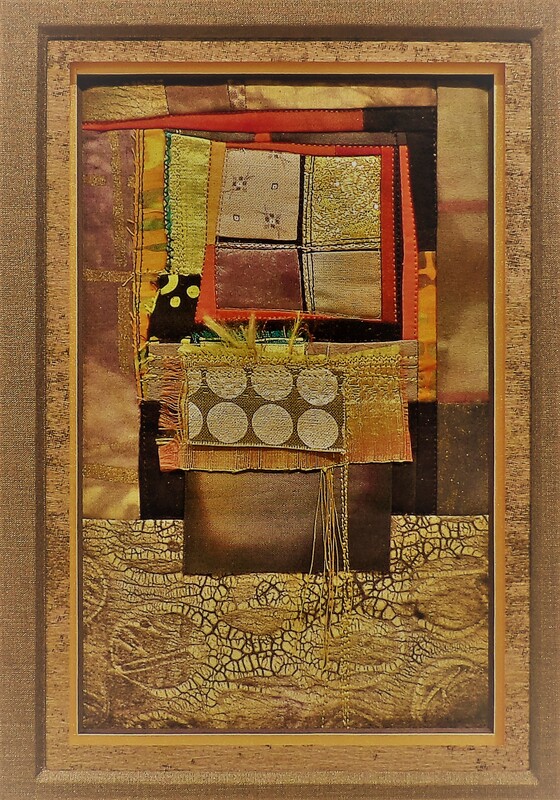 Joomchi’s usages are diverse and can be incorporated into surface design, collage, drawing, one-of-a-kind book art, wearable art, unconventional body ornaments or sculptural objects. The possibilities are endless! 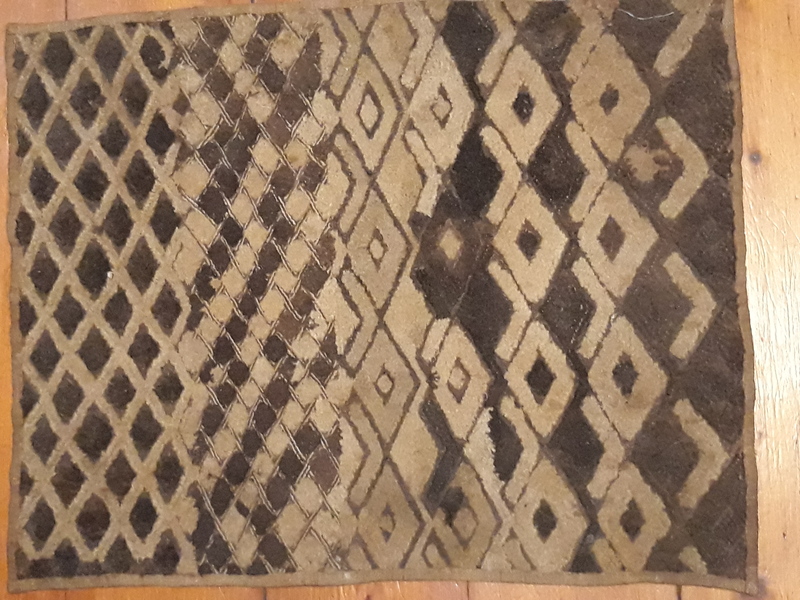 In this class we will examine how a pattern is perceived, and how a pattern can be construed as a metaphor for some aspect of the designer’s world. Our brain seeks pattern so as to simplify and comprehend the world. Much of the modern world is about breaking down our ability to slow the world with pattern and instead to keep us engaged by throwing non-pattern at us constantly. 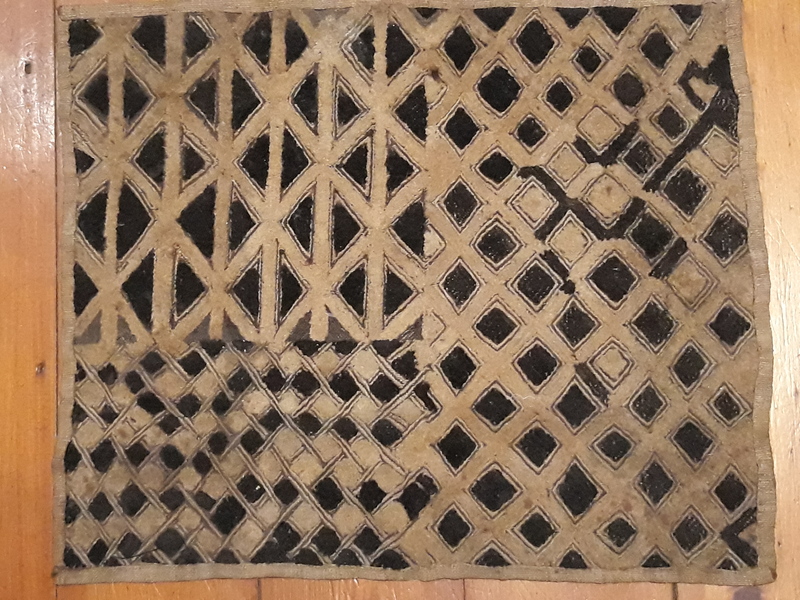 Artists from other cultures often allow patterns to evolve rather than maintaining a rigid symmetry. 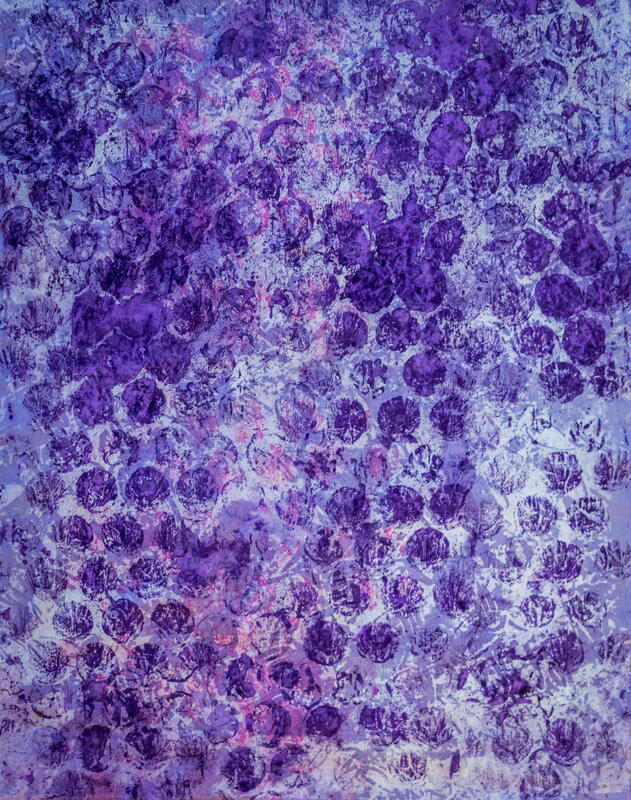 In this class we will explore ways of implying patterns, letting patterns evolve and using metaphorical ideas in our work. 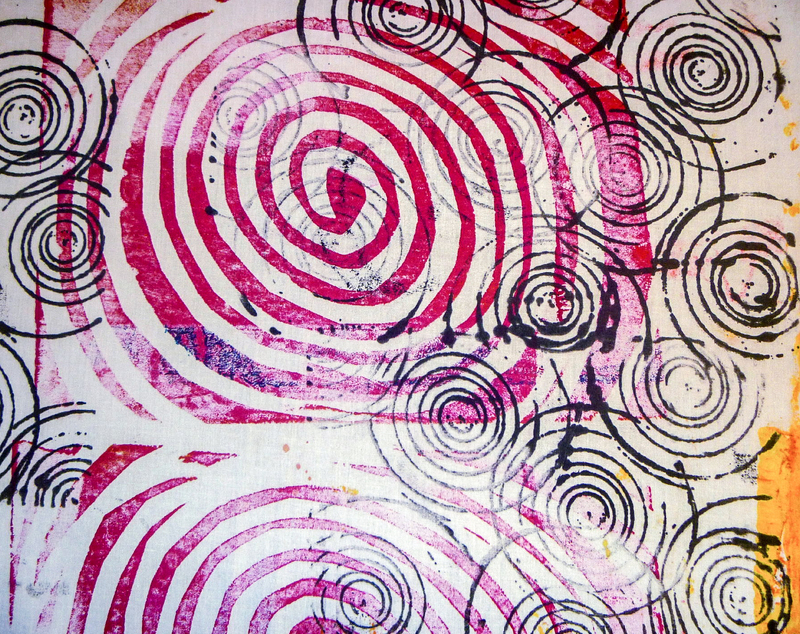 For me, using and exploring the implications of a pattern is the basis of my creative life. Whether or not we intend it, our work sends messages about our lives, about our priorities and our philosophy. What I want to do in this class is to give you ways to express all this freely and truthfully. 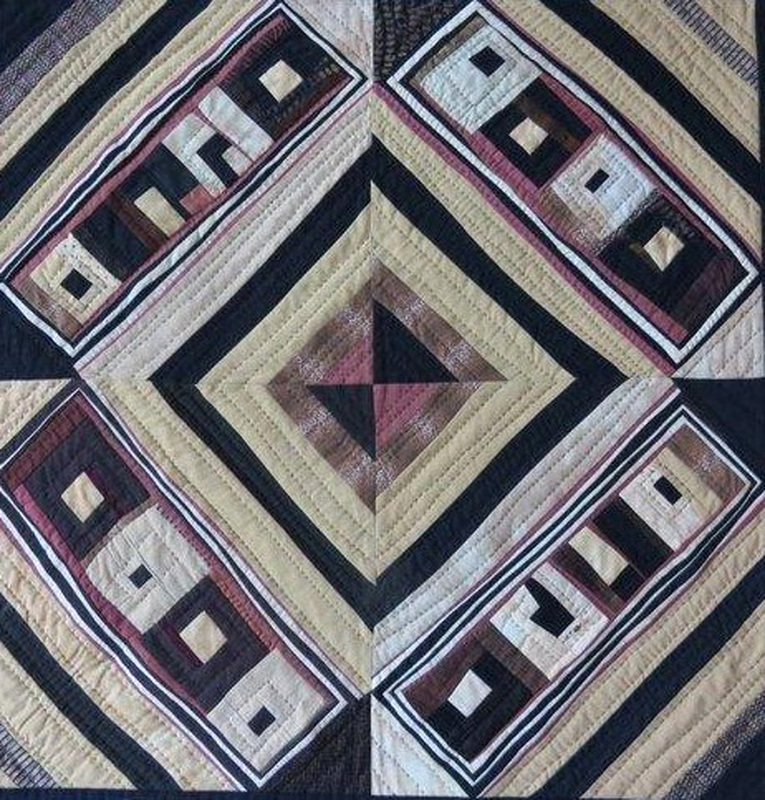 In the class we will learn new free piecing techniques; use the grid to escape the regular; scale patterns for effect; create new ways to organize your quilt image; refresh your approach. This is the perfect opportunity to intensify your search and do an in-depth investigation of your particular passion, find out what your work can be, break new ground and let your creative voice sing. Bring work already in progress or in the planning stage. We will study and discuss the work of other artists as well as your responses to your favorite artists in various fields. This class offers you time, space and opportunity to explore and develop your work in the direction of your personal interest in a supportive and creative environment. 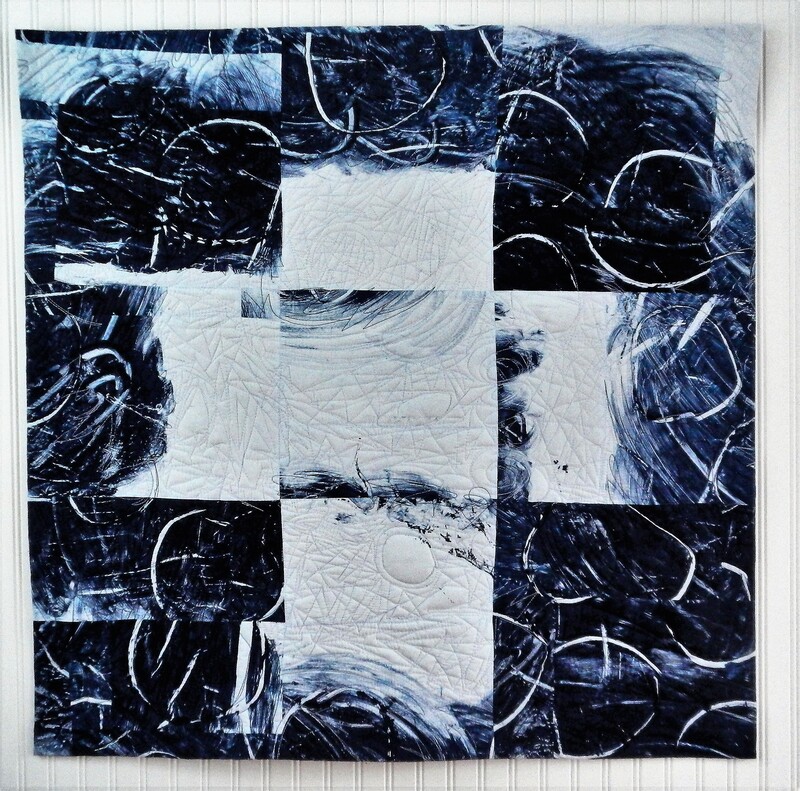 Discover a variety of ways to create the illusion of depth in a two-dimensional plane (in our case, a quilt.) 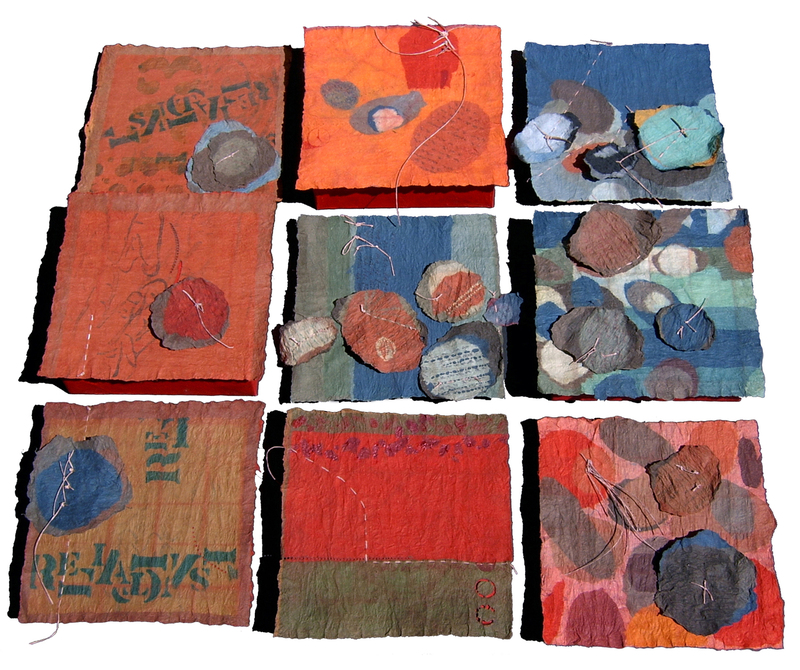 Along with fabric, students will work in a collage style, using mixed media such as paints, papers and found objects to create a series of small studies. We will paint, sew, fuse and glue, concentrating on design principles such as overlapping, placement, size, value and focus. 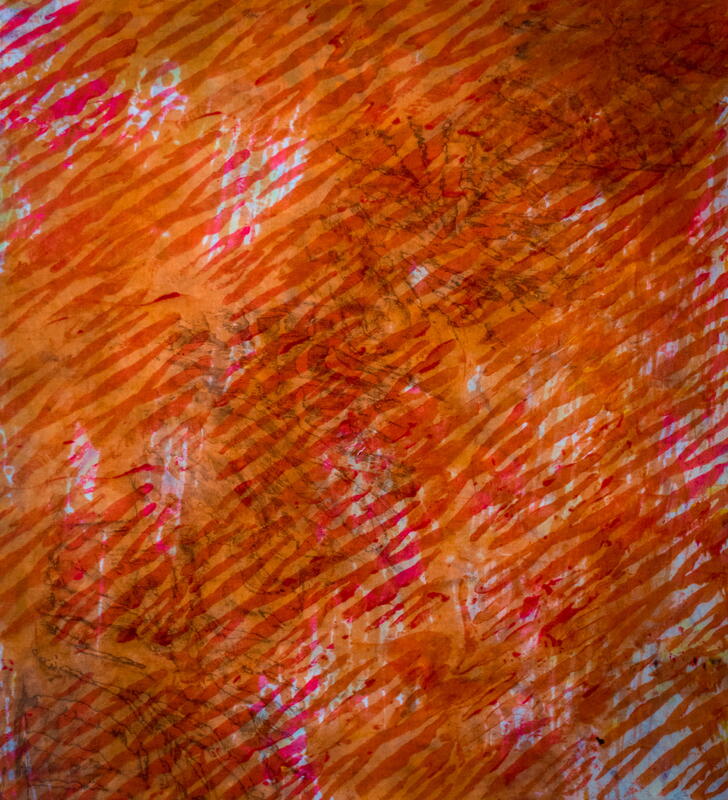 In the end, you will leave with a better sense of command over how to create a feeling of three dimensions, depth and foreground/background within your two-dimensional art. 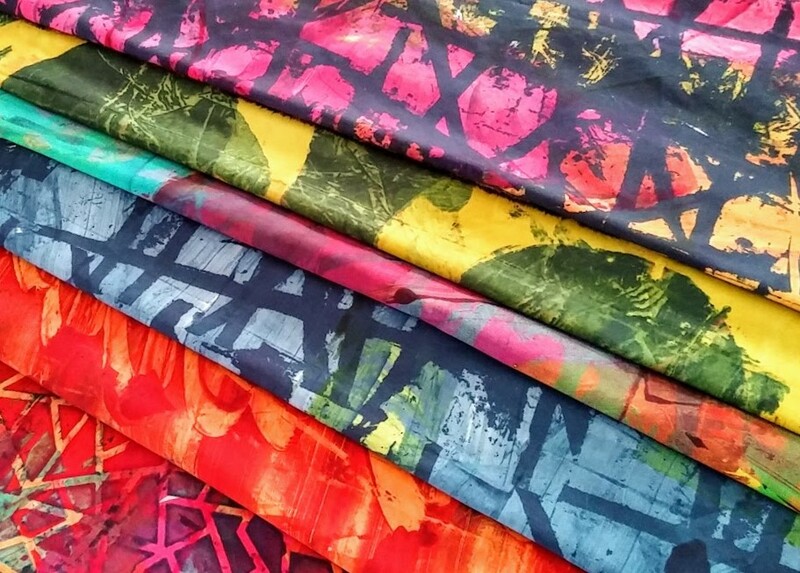 Take your fabric printing to a higher level. 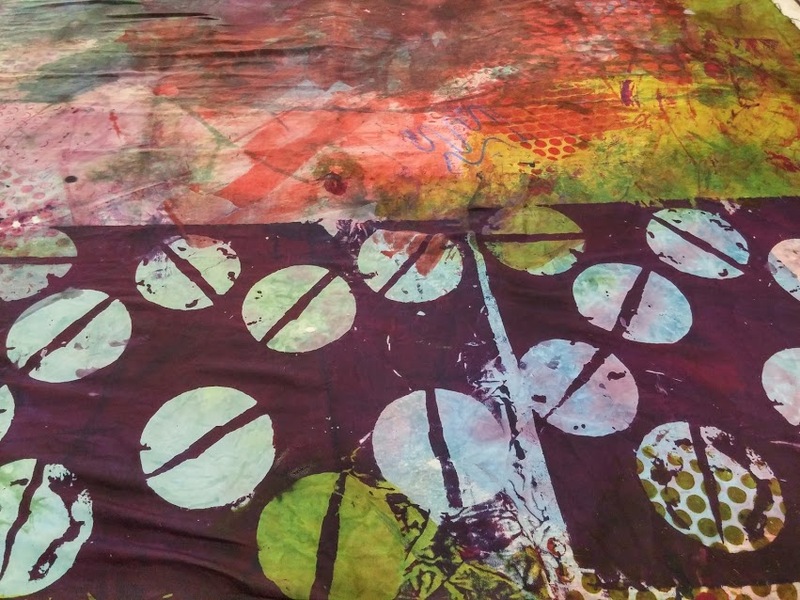 We’ll create textiles that are large in scale, learn how to sweep the area with color variations and combine techniques for uniquely printed fabric. 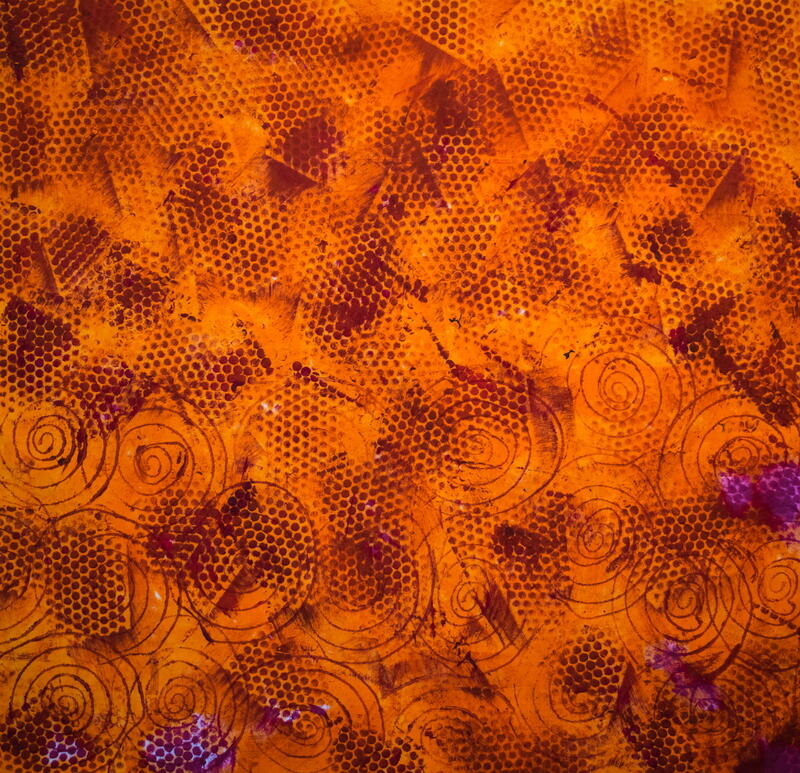 Using fiber reactive dye, we’ll use a thickener to obtain a workable paste that becomes the medium for color mixing and allows for applications that layer color over color, pattern over pattern. 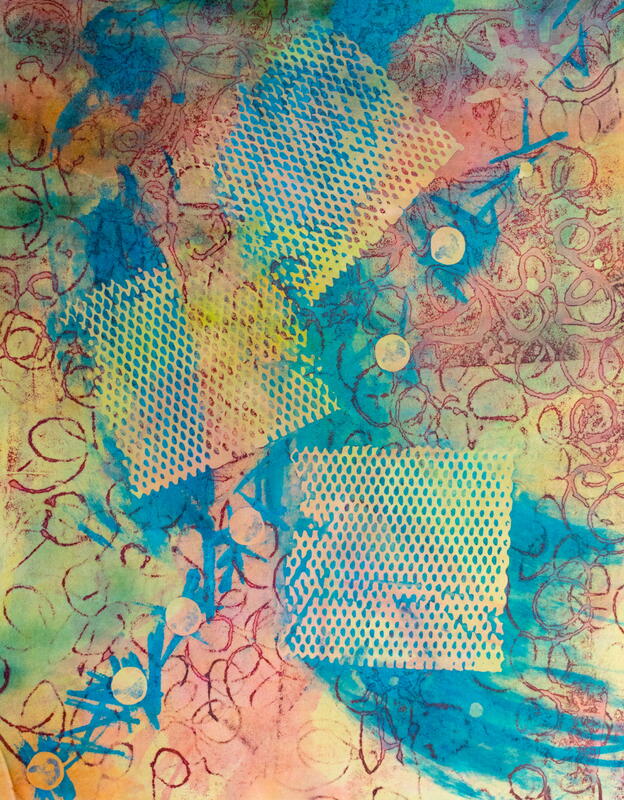 We’ll explore monoprinting, stamping, transferring texture and stencils with hands-on exercises for color theory and design. 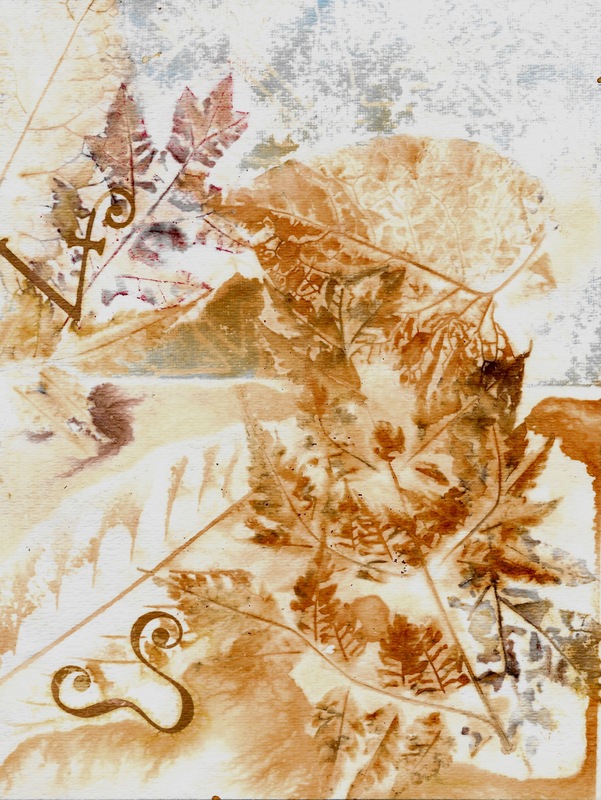 These methods can be used for silk, cotton and linen. For this class we’ll focus on cotton, and the results will be glorious! 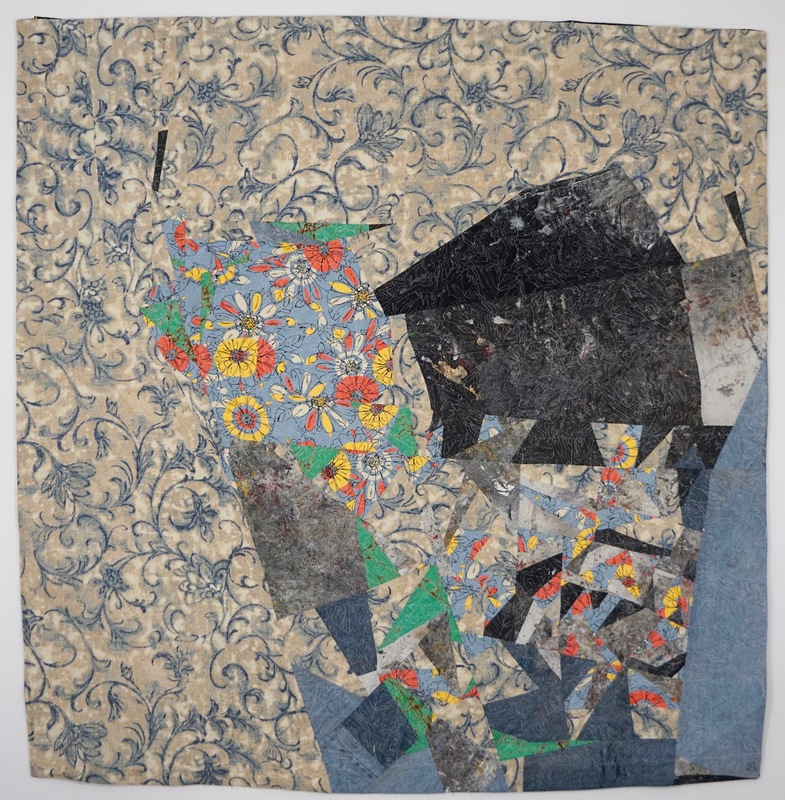 Boro mending, kantha cloth, the quilts of Gee's Bend: each of these evokes images of old, worn fabrics, simply but beautifully stitched out of need. 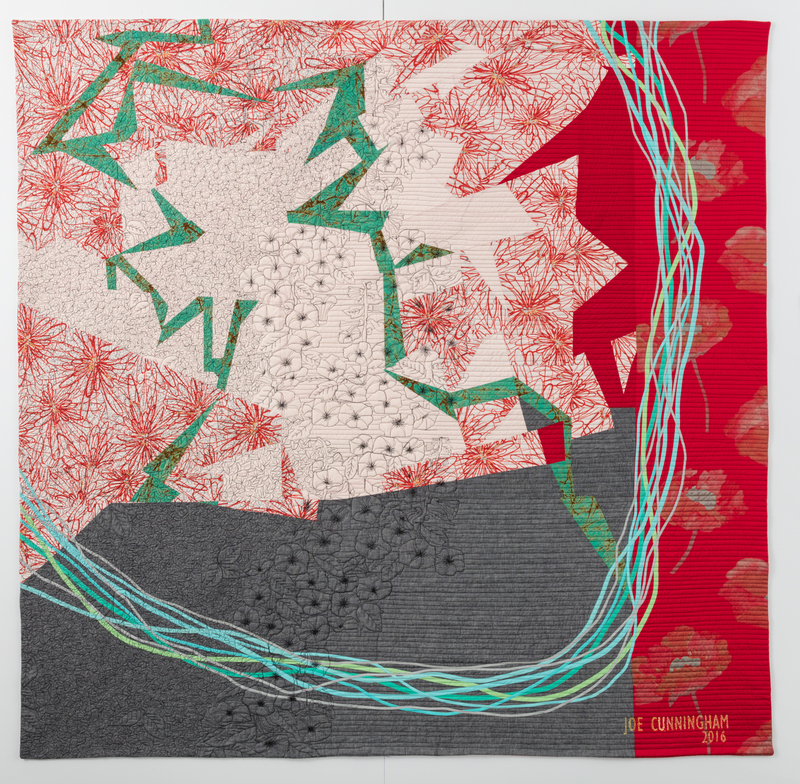 Born of necessity in diverse cultures worldwide, contemporary fiber artists can learn much from these traditions both technically and aesthetically. 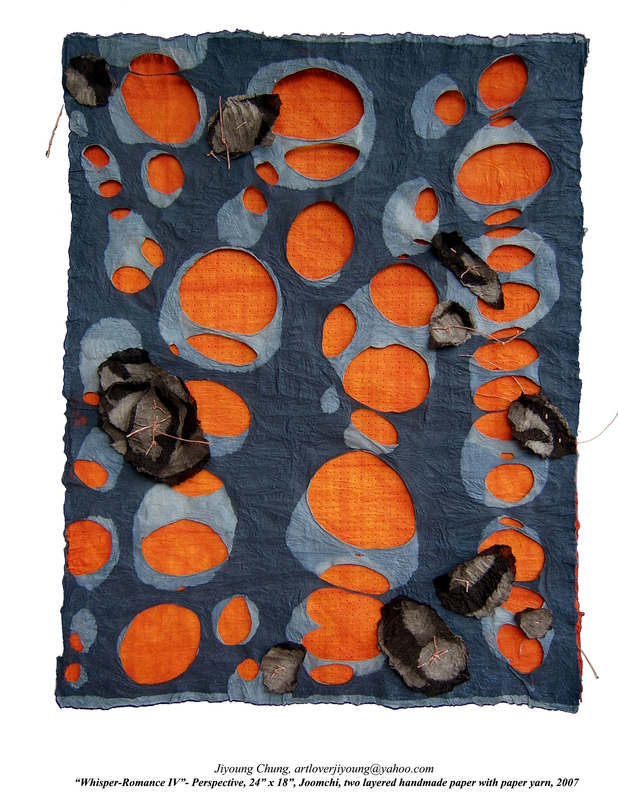 In this workshop we explore the traditions that created these textiles and look to them for inspiration in creating new works of fiber art. Beginning with pieces of old fabrics—vintage linens, pieces of worn jeans, even bits of blankets or tattered garments—we select, curate, layer and hand stitch them into new looks and new life. 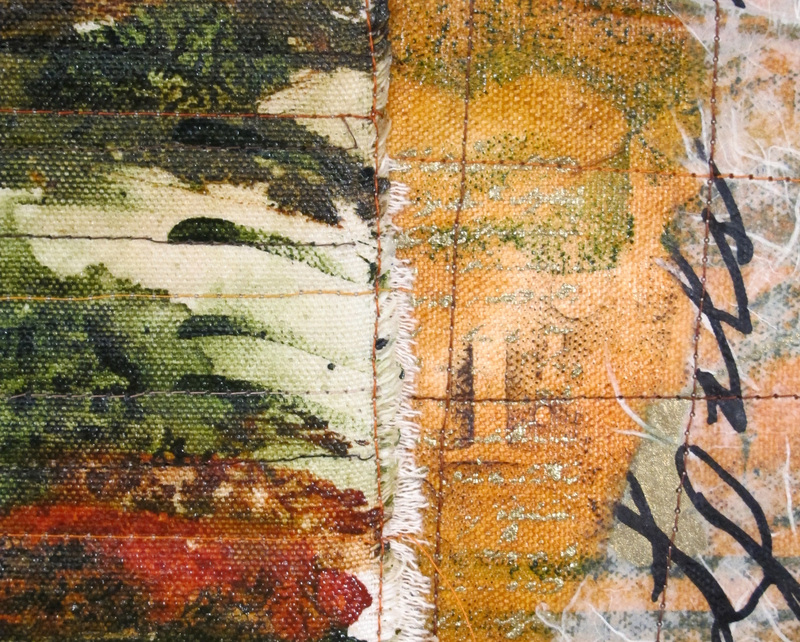 Techniques explored include non-traditional hand piecing and applique, hand quilting with heavier threads and design considerations in creating our compositions. 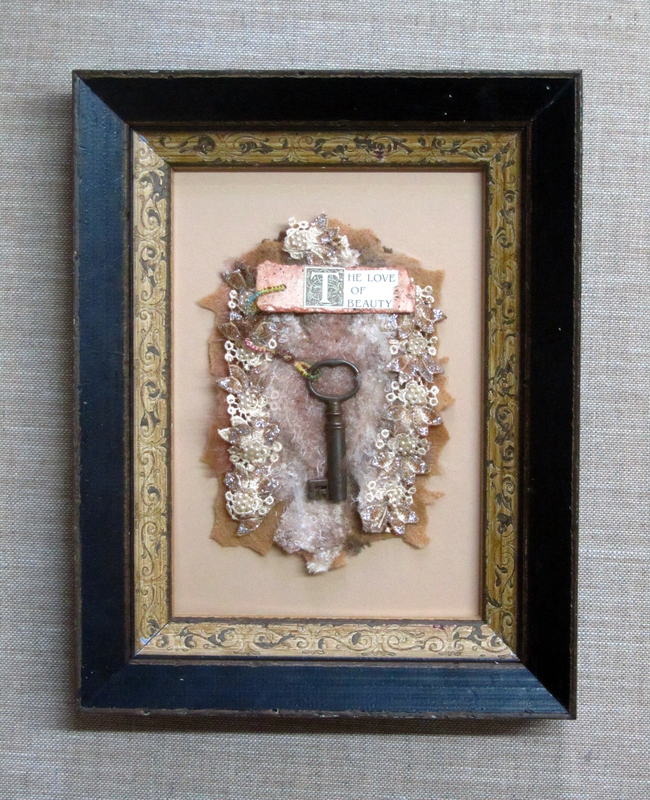 This two-day workshop is a meditative blend of history, hand work, repurposing and art-making. 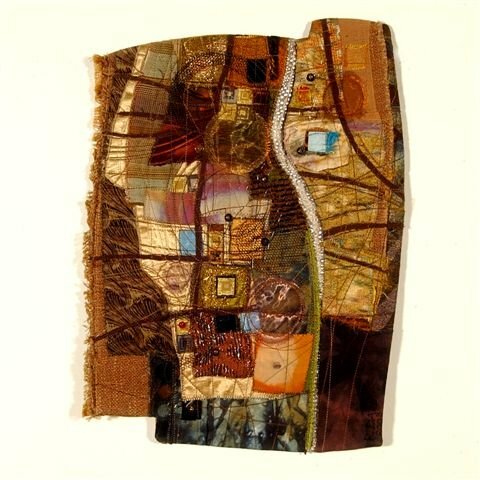 Much of my work is based on my concept of "paths and borderlands". In this class we will start by making some simple paths and creating some borderlands. Once students feel comfortable with these basic techniques, I will give an assignment that will be simple yet open-ended enough to allow for infinite interpretation. 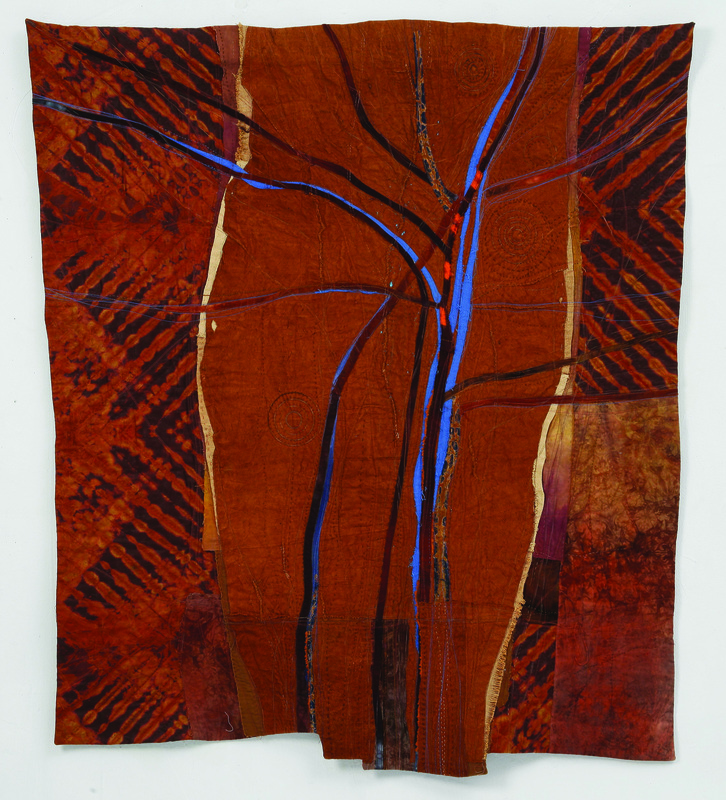 The whole idea is to create a model of the process I use when I approach a project in my own studio. Part of my teaching philosophy is that students learn best by doing, so we will spend most of the class time cutting and sewing, not listening to a lecture. 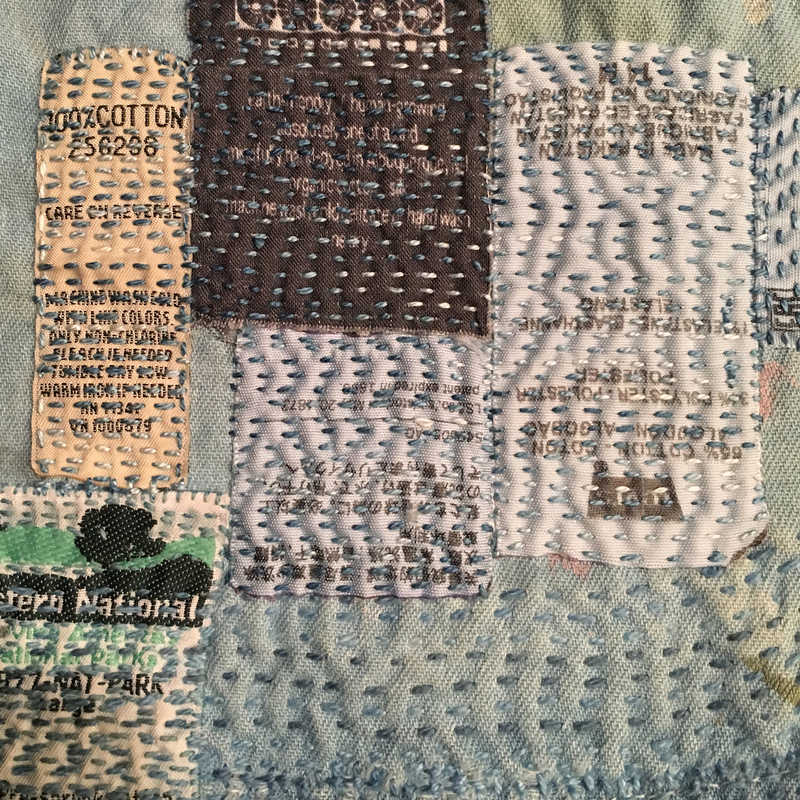 The skills you will learn will be fully portable so as to be available for all your future work, such as: obscuring seams, creating pathways across the design, using negative space and working without a pattern. Please see description from class 5. This class must be taken in conjunction with class 5. This class is offered only as a 7-day class. 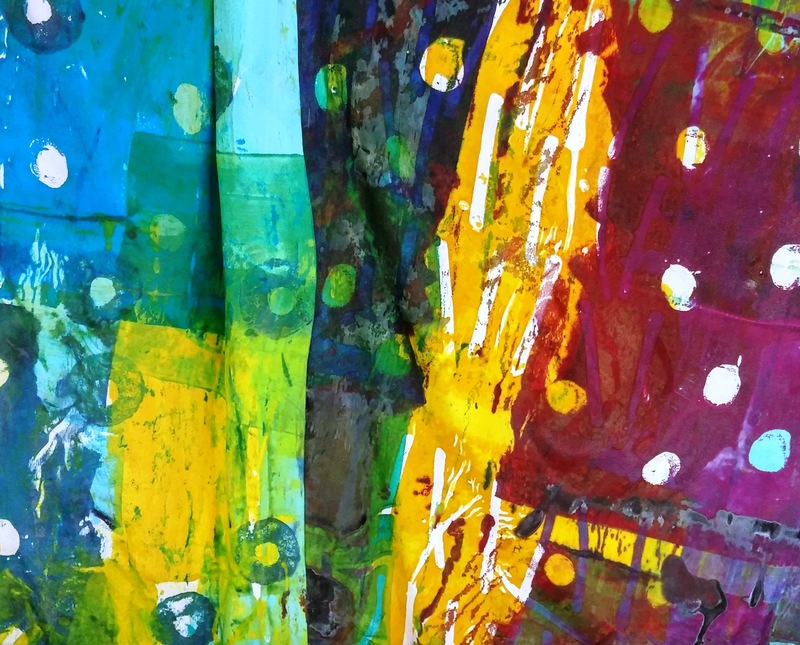 Join Deborah for a weekend of mixed-media play that will encourage you to step gently out of your comfort zone, within a collaborative and supportive environment. 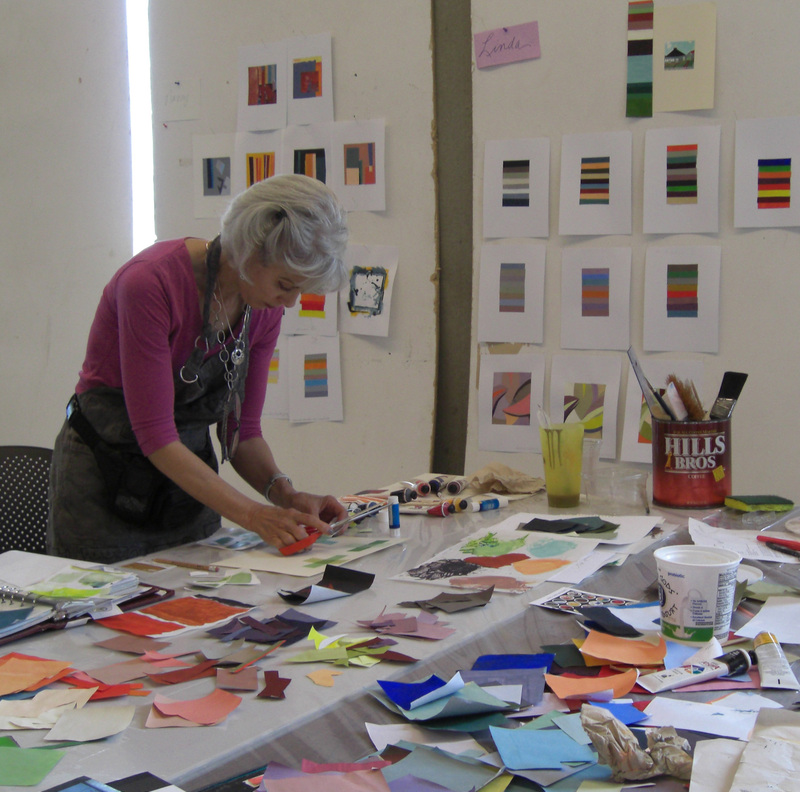 Using a limited color palette, we’ll create 10 to 20 small design studies using paint, paper, fabric, found objects and gel medium. 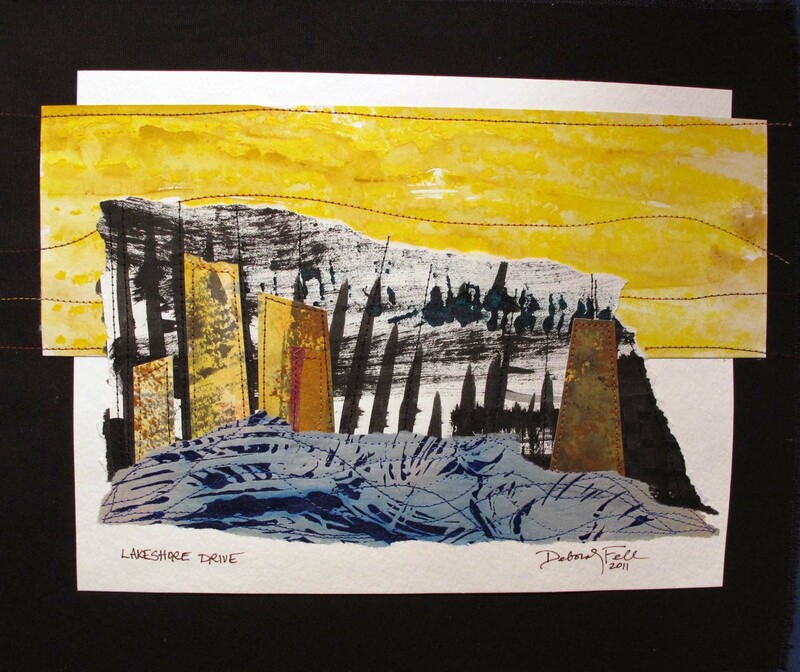 Layering, painting and collaging will reveal common elements in the design studies Each day opens with a design presentation and demonstrations of techniques for working with mixed media materials. Everyone will leave with a book of sample studies documenting their experiments. 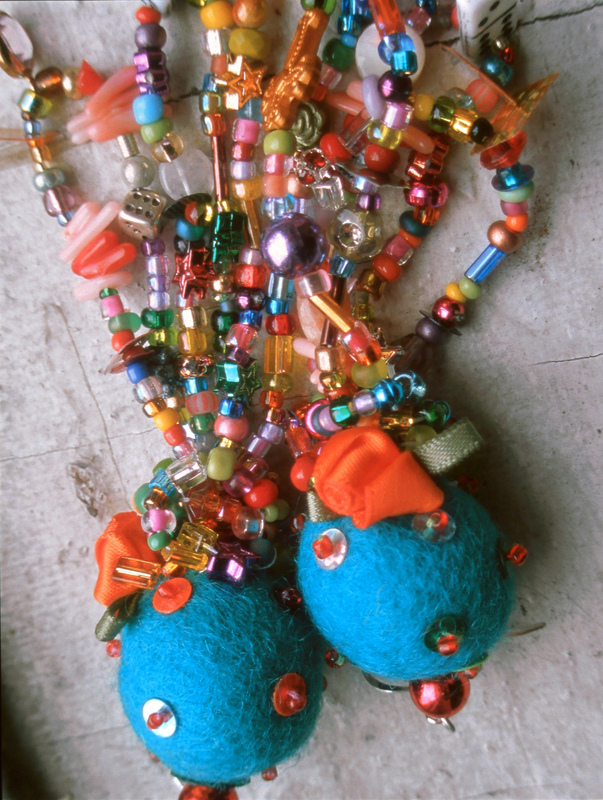 Explore the many ways to bead-ify yourself and make the universe a more bedazzled place. 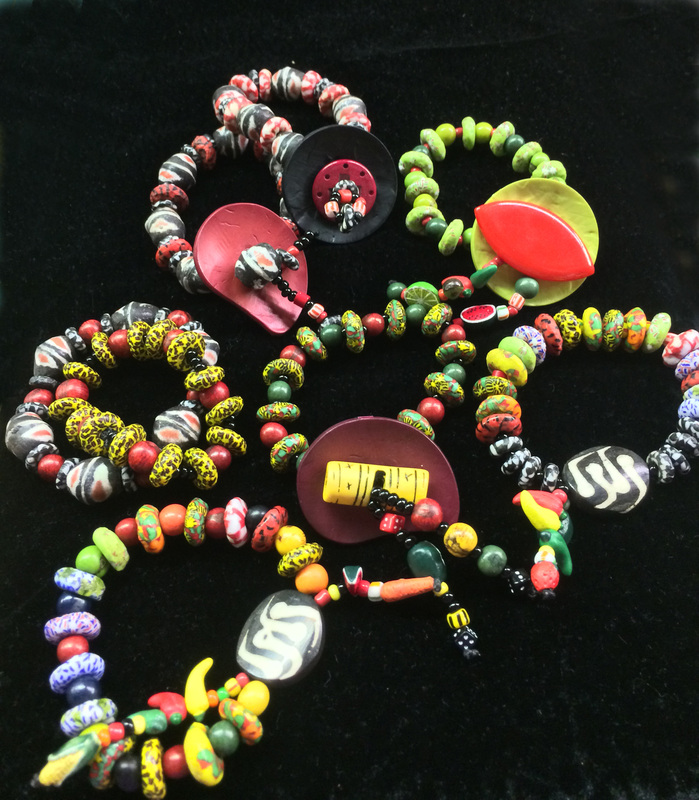 You'll learn the basics of necklace and bracelet bead stringing, Becky's special bead-kabob technique for drop-style earrings and methods for turning/wrapping loops. 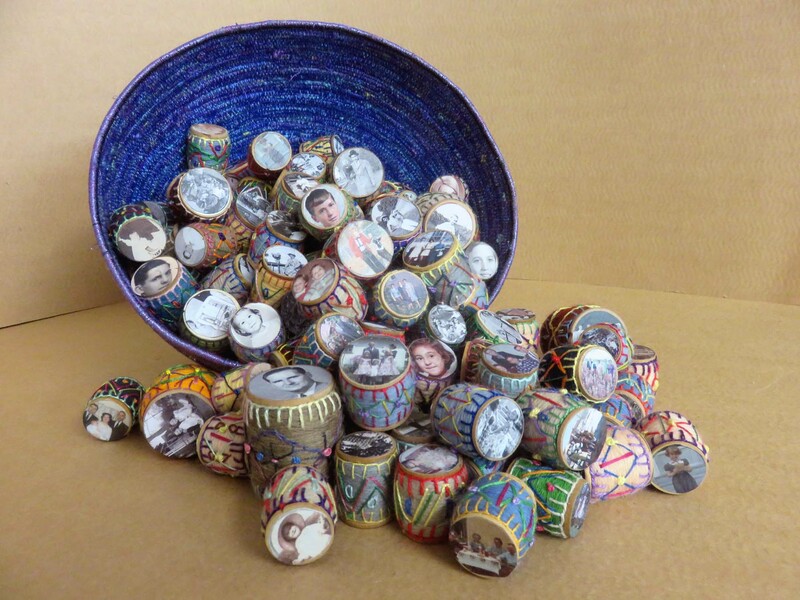 You will make beads from felted balls, silk cocoons and found objects, including bottle caps and other recyclables. 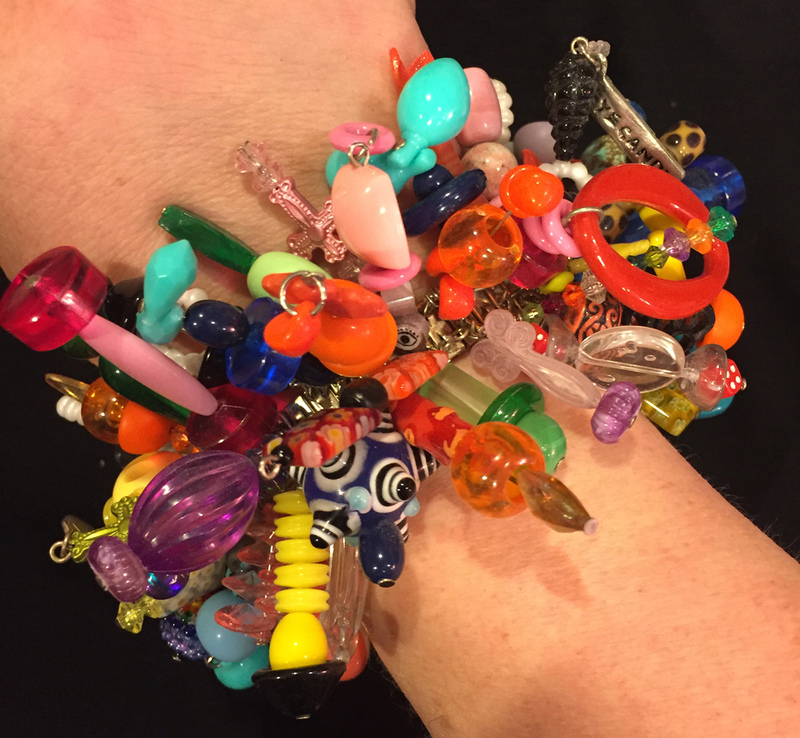 During this two-day class, you will learn how to combine multiple ingredients, make the ever-popular "Bodacious Bracelet," and create embellishments for your art and yourself. 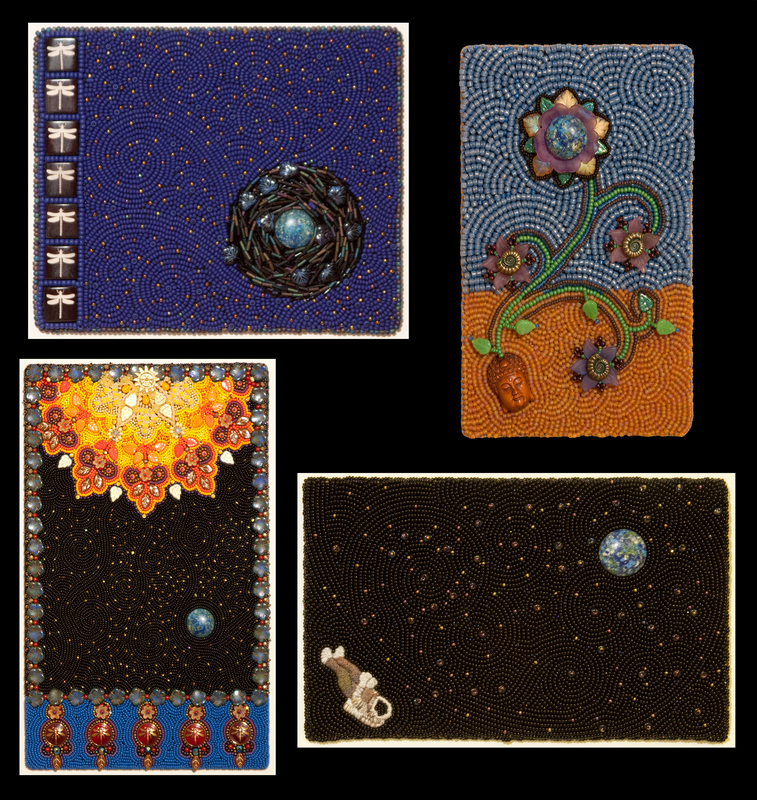 This class is guaranteed to kick your mojo into the cosmos, causing an extreme jolt of creativity! Join us and surround yourself in an atmosphere of amazing creative energy! 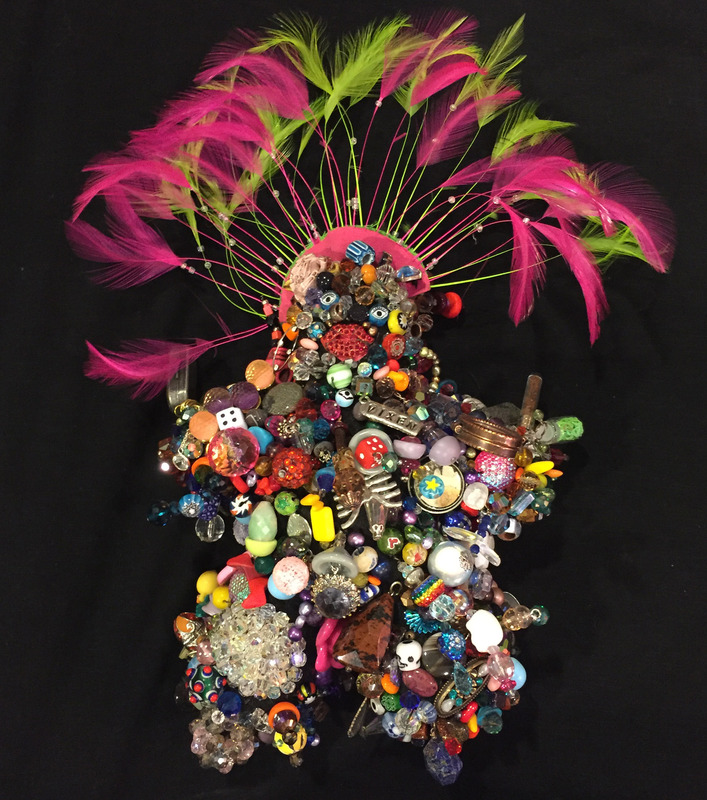 With the amazingly low supply fee of $40, Becky will provide a room full of beads, bobbles, fetishes, ribbon, felt, tools, fabric, findings and much, much more!!! You'll find everything you could need and more than you could ever use to create the most amazing beading projects ever! 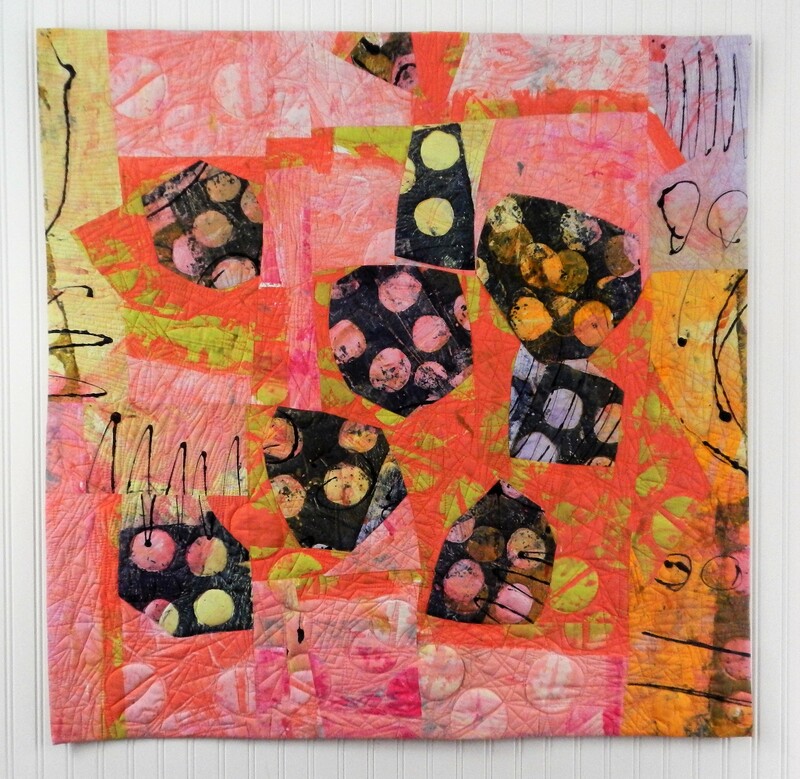 This two-day workshop focuses on designing abstract contemporary quilts. 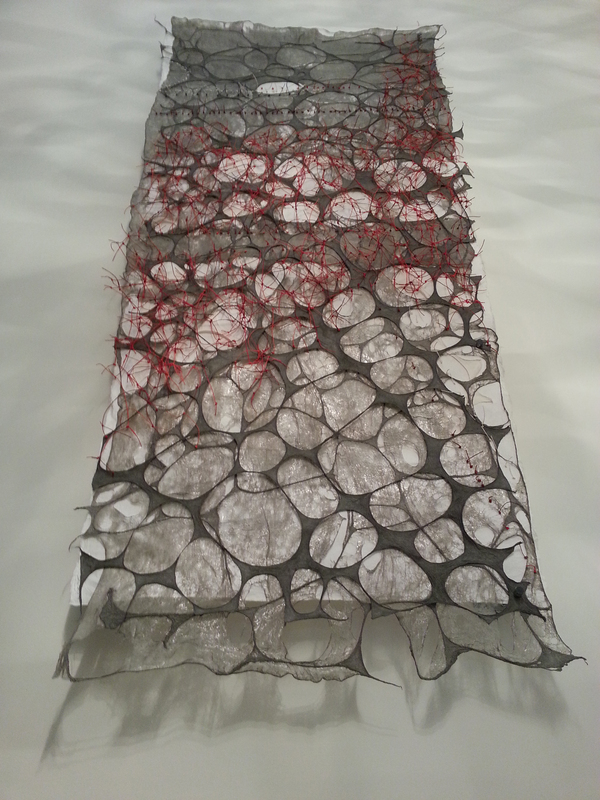 We’ll TAKE TWO hunks of fabric to make a piece that explodes! 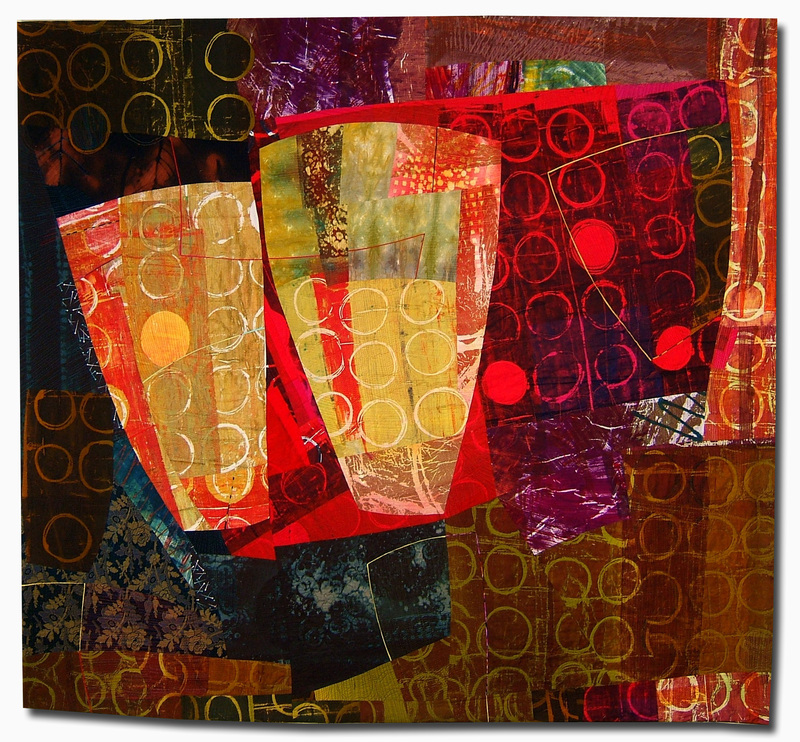 This is a great class for those who use artist-made fabric or love using large scale commercial prints. 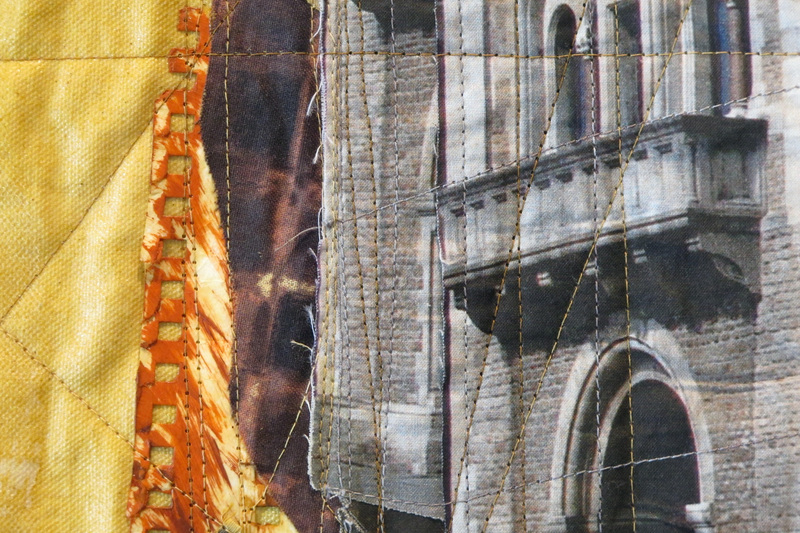 I’ll show you how to design with improvisational piecing, letting the fabric do the work. We’ll discuss composition, what is strong, what is weak, and how to see the difference. 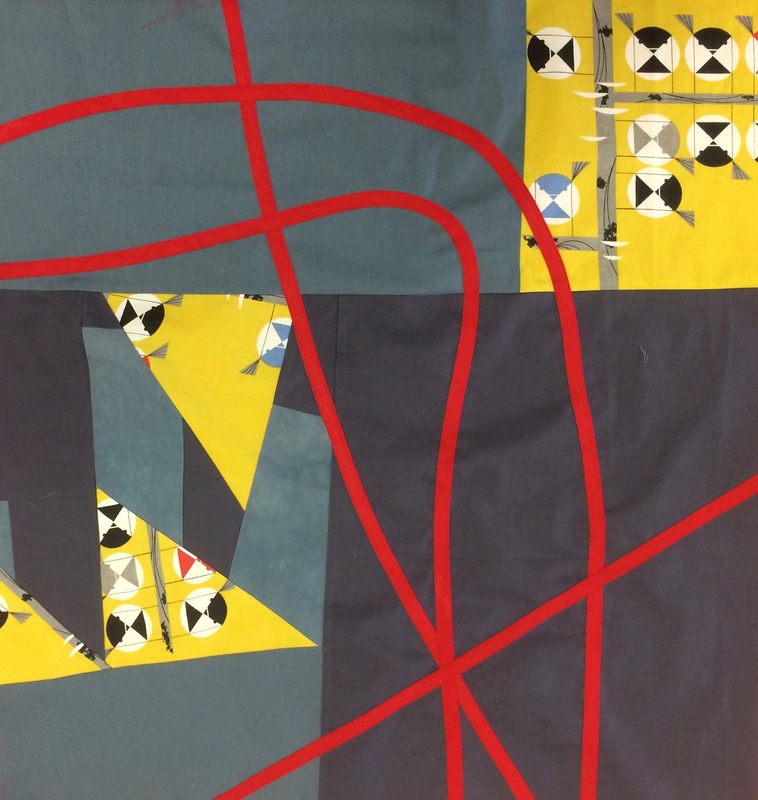 After some warm-up design exercises, it’s time to dive in and cut up that great fabric. Leave the rulers and templates behind, gain strength in cutting freehand, and discover how to use your fabric in a strong composition. 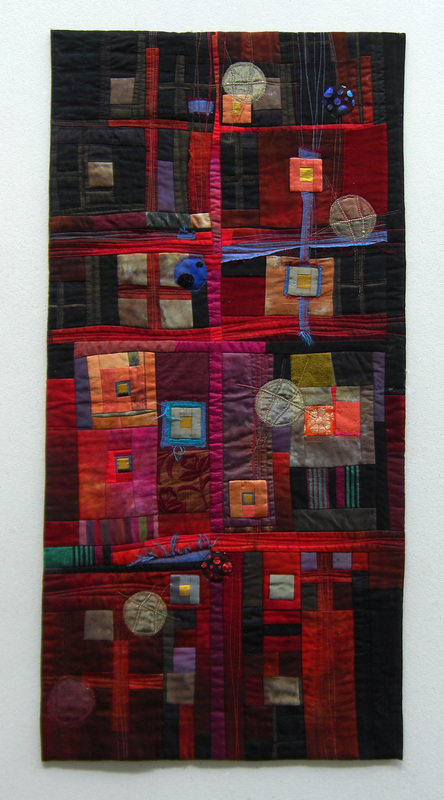 Explore the exciting possibilities of windows and doors as you design and let the light into your quilt! 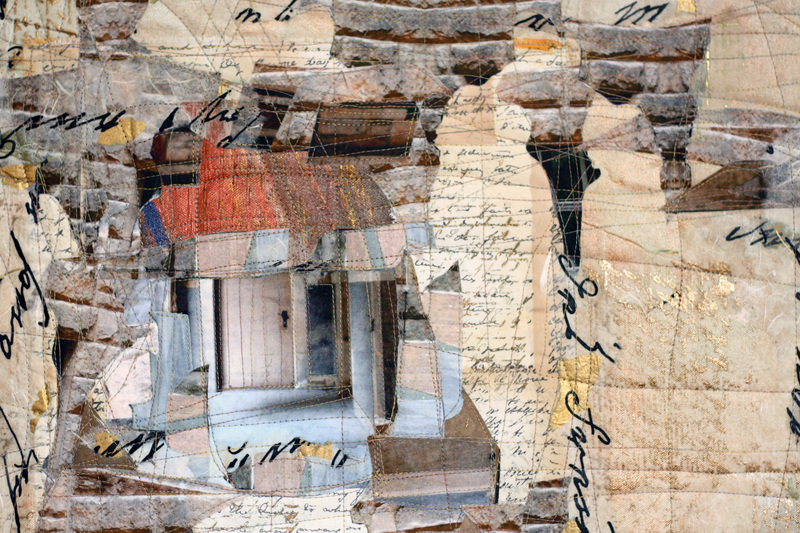 Do what other artists have done over the centuries and use windows and doors to open your eyes to another view. 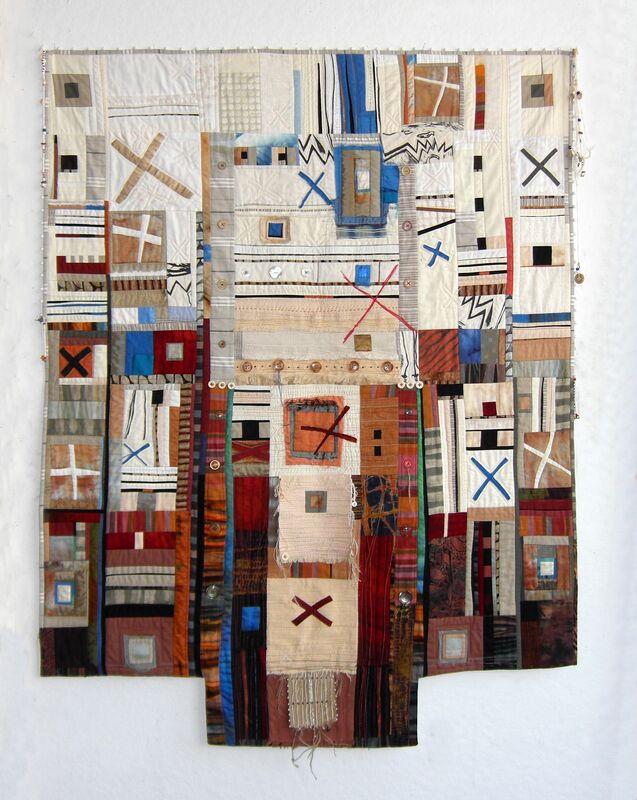 Using these shapes and the spaces they define, discover the vitality of positive and negative design and simple geometric forms to create your own unique quilt based on the openings and closings in the buildings and structures around us. Demonstrations and examples will include ways to refine construction techniques. Discussions and visual information will enrich our potential for understanding the fascination we have with looking in and looking out. 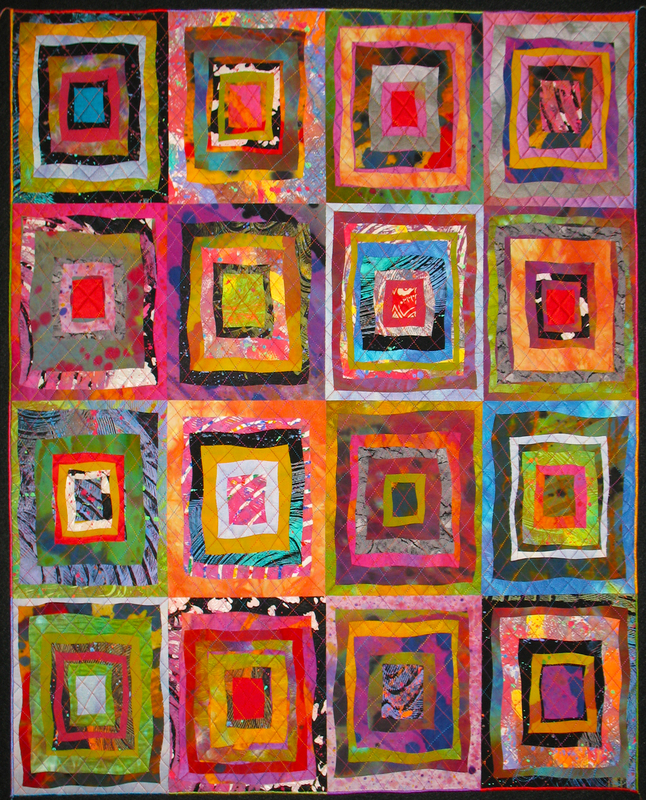 Come in and let air and light in as you make a whole new approach to your quiltmaking! 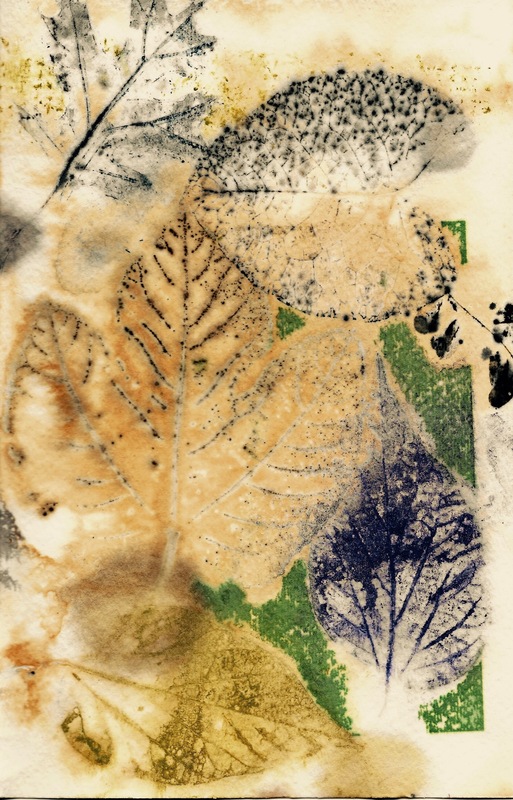 Botanical printing– also known as eco-printing– has a large and dedicated following. 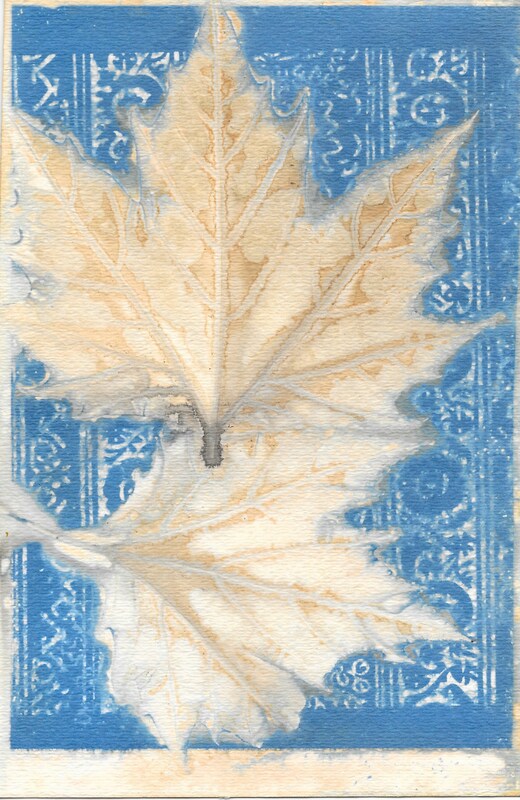 The sustainability of materials and inherent organic beauty of the imagery is deliciously appealing. 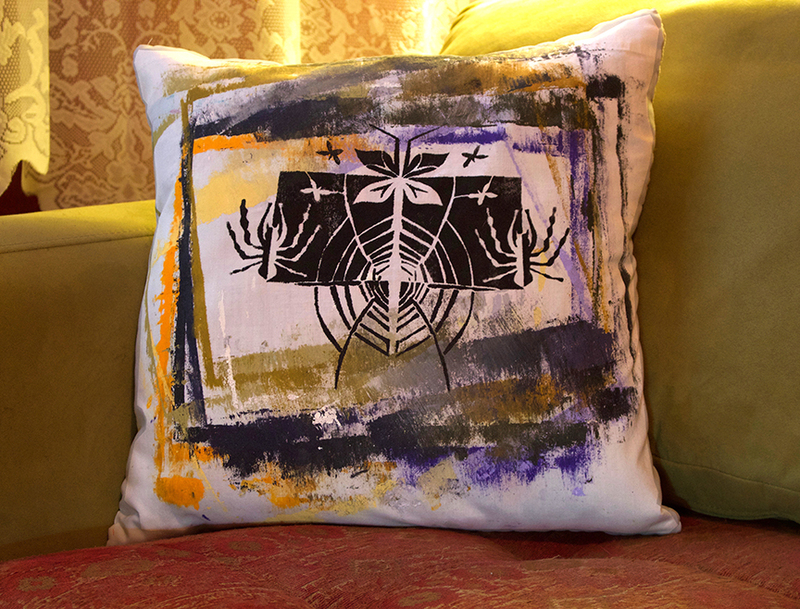 But consider a new twist on beloved printing methods. 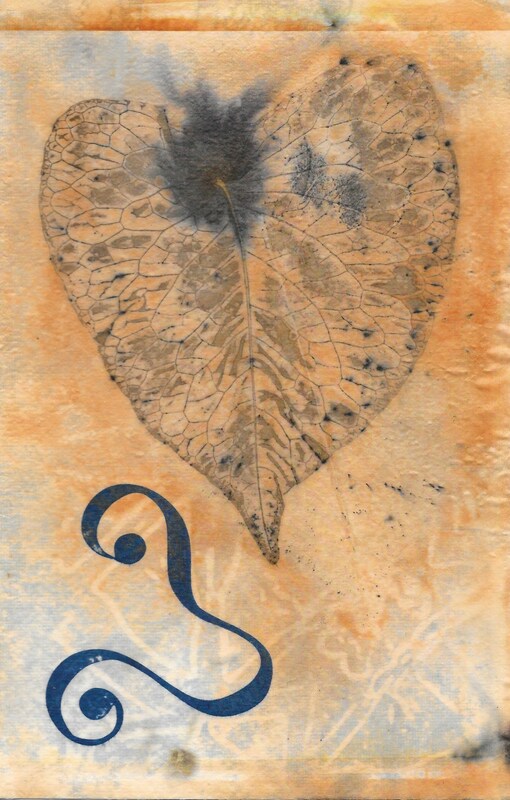 This workshop explores ten additions to botanical printing on paper/fabric substrates to create a series of collages suitable for framing, stitching or other distinctive and personal use. 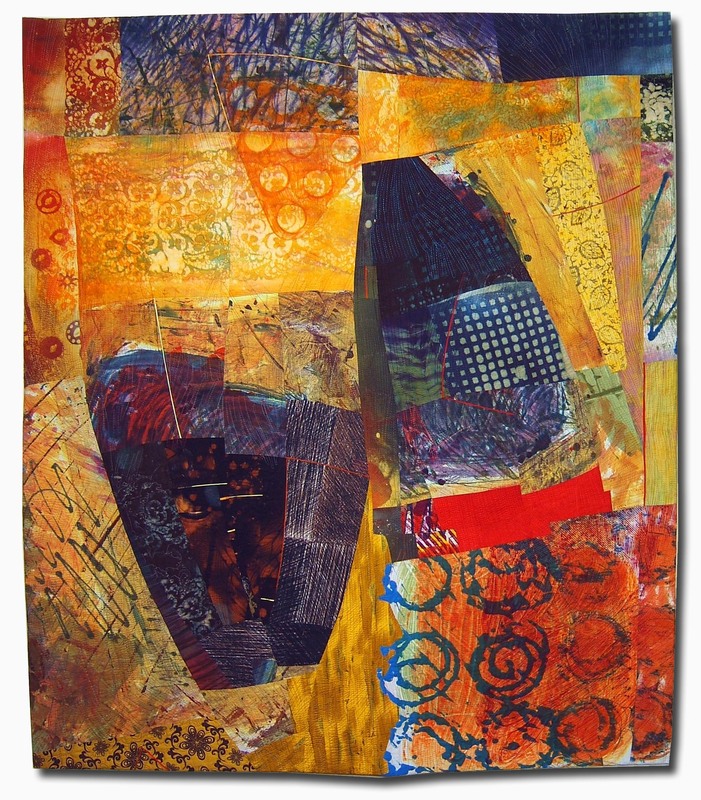 Techniques include adding color or collage elements prior to printing and using of a variety of mordants and chemical applications to enhance and shift color. 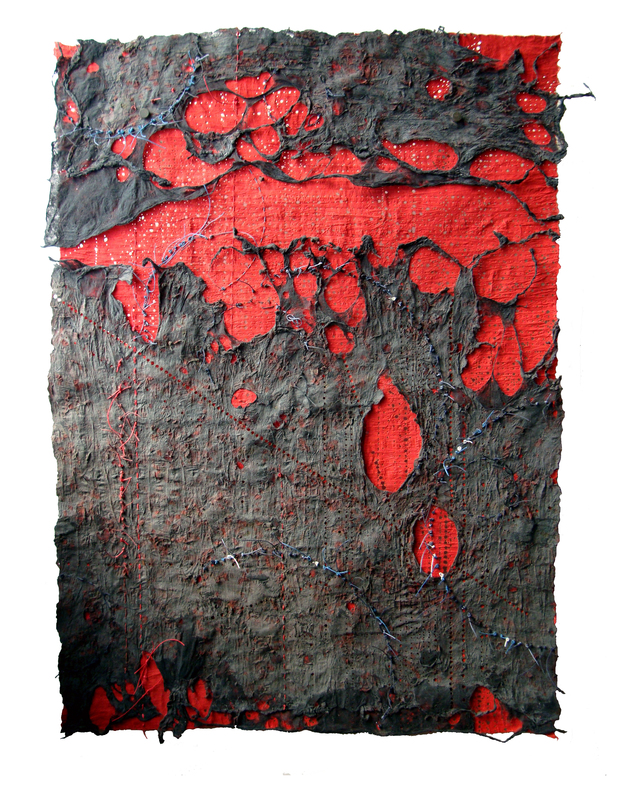 Dunnewold’s unique methods for adding new and unexpected additions to the eco-printing repertoire are not for the faint of heart. It’s just too exciting! 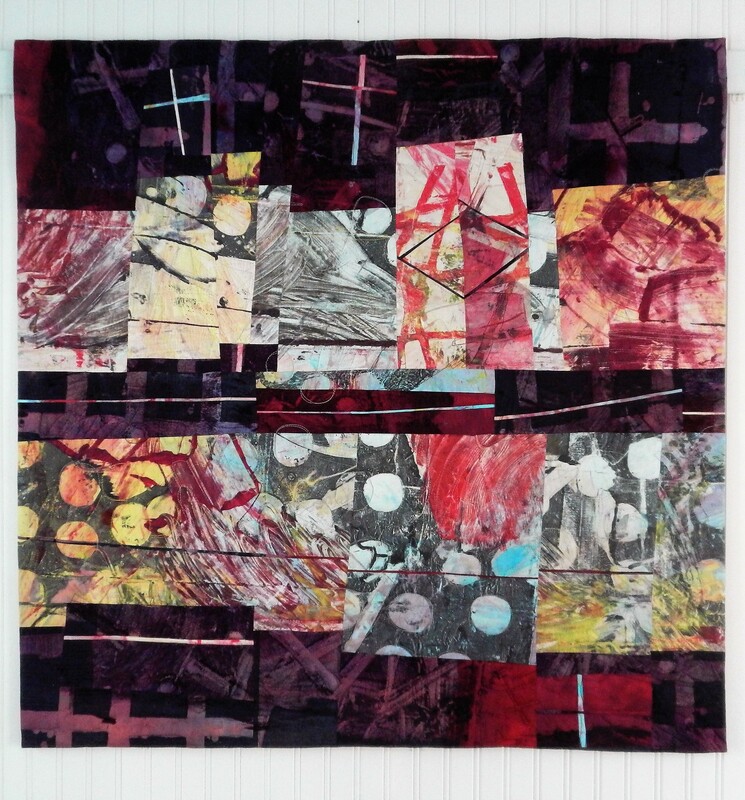 David has been teaching color to designers, painters and fiber artists since 1980. 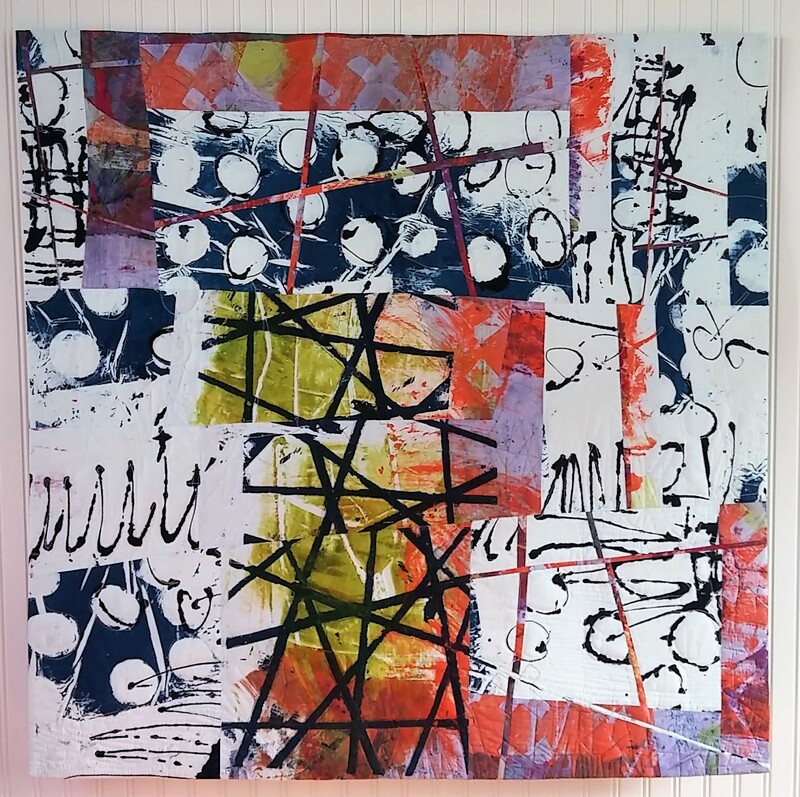 This class is an intensive, compressed version of the curriculum he developed while teaching at the Rhode Island School of Design. The classroom atmosphere is relaxed and supportive. David does group discussions and presentations but is also always available for one-on-one consultation. 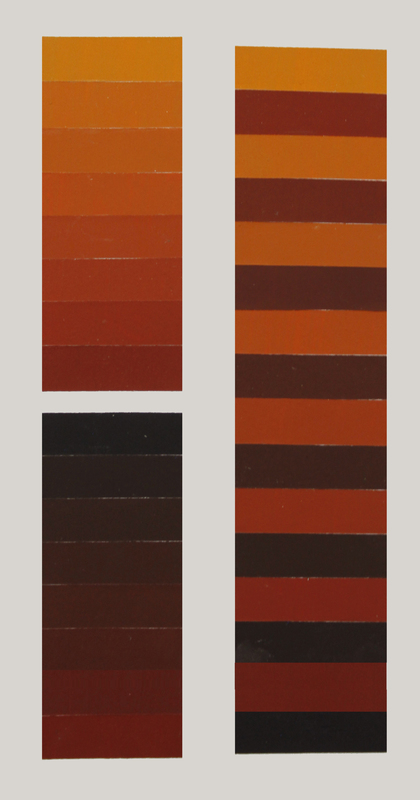 You will explore important aspects of color through a series of small, focused color studies. 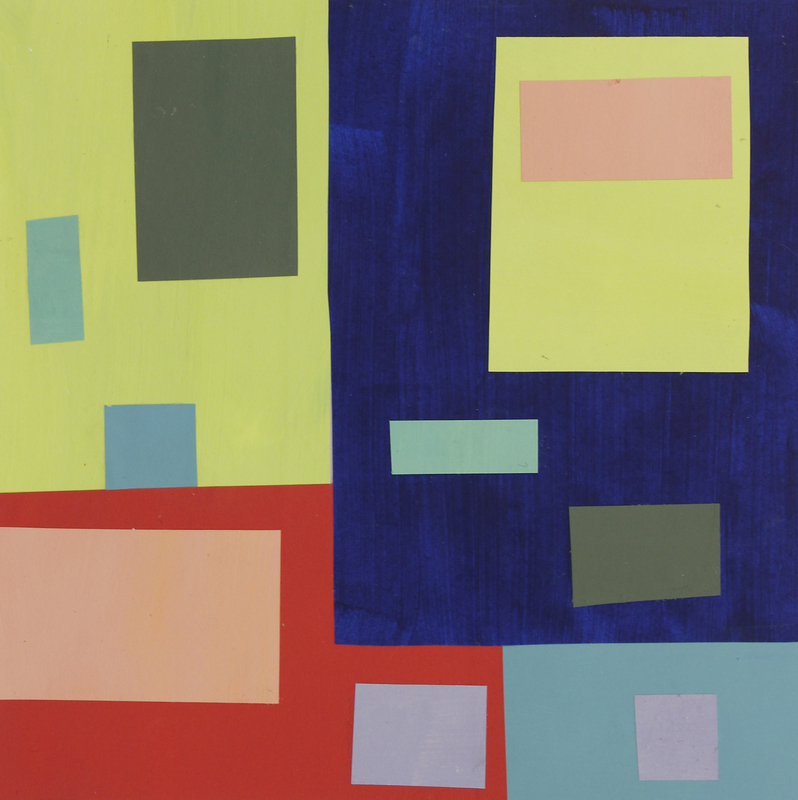 Most, if not all of the projects will be made by painting color swatches and collaging them together. 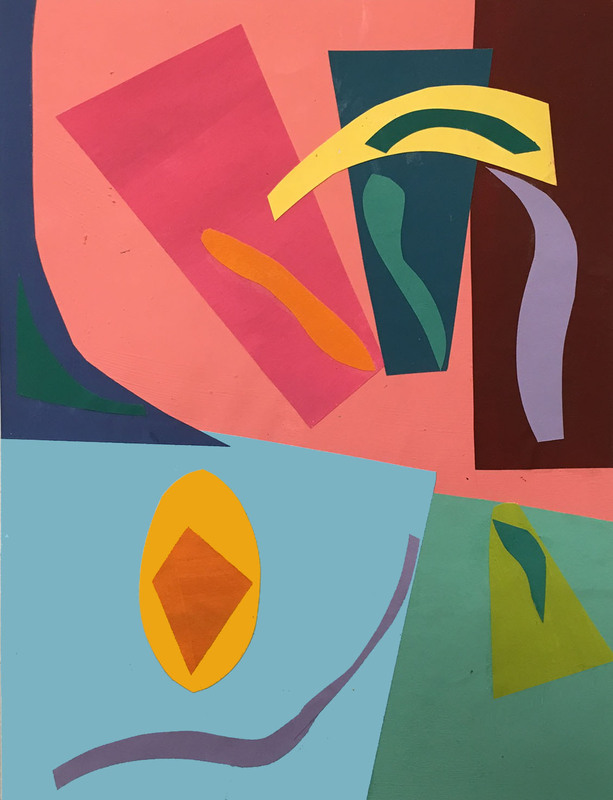 In addition to the assignments, there will be “free studies’ where you will get the opportunity to experiment with color concepts in ways related to your own design interests. By the end of the session you will have assembled a small book portfolio that will house your projects, document your progress and provide you with a reference for your studio library. 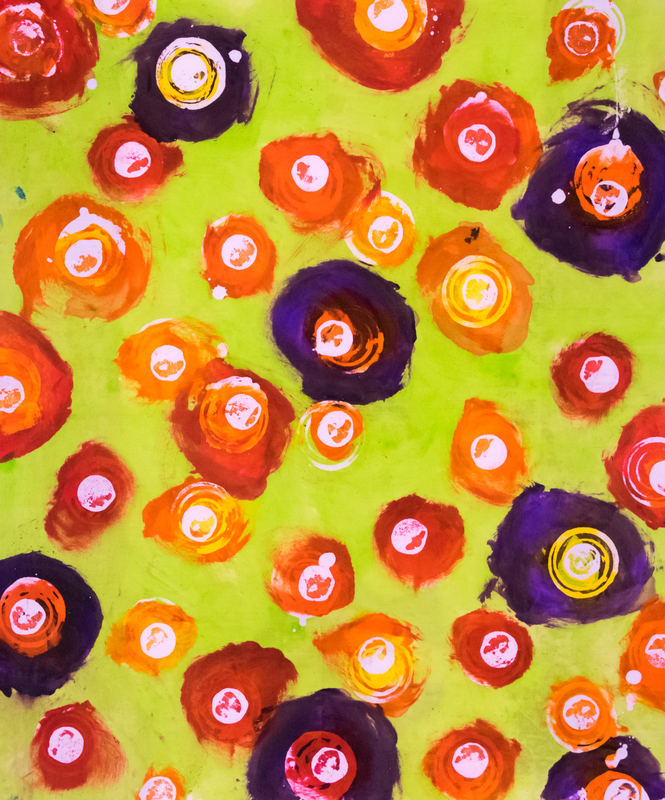 Even though you will be working with paint, no painting experience is necessary to succeed in this course. Classroom powerpoint presentations and group discussion are a part of this class. 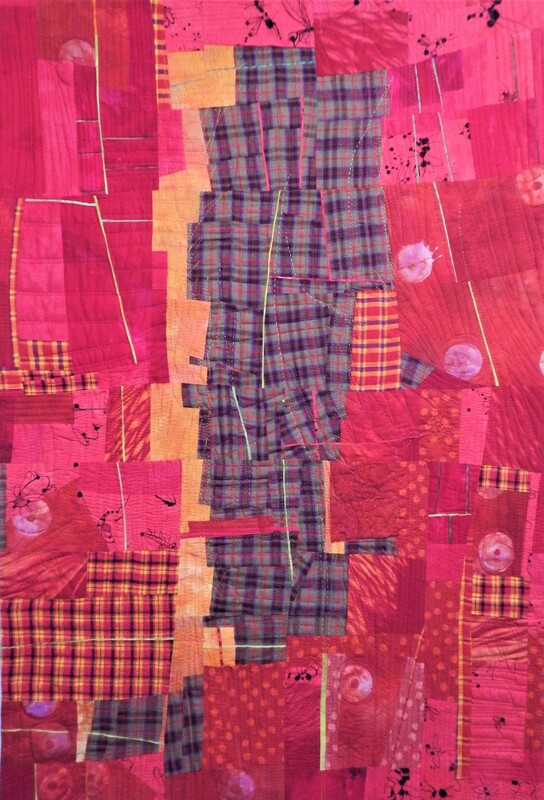 Here, David will analyze color in quilts and textiles and discuss how color clarifies form and supports meaning in a work of art. Important note: If you took David’s color class when it was offered two years ago, please consider “reenlisting”. He will look at your previous work and extend your study with new exercises and color concepts. You will not be repeating what you did before. 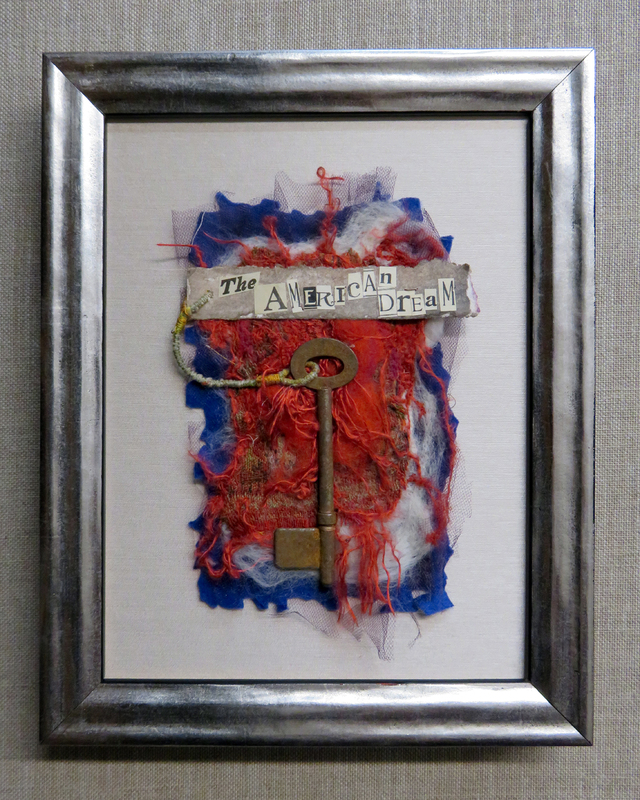 Susan’s aim is to inspire participants to create fiber art heirlooms using vintage and recycled materials and other found objects, transforming them into stitched expressions of personal legacy. 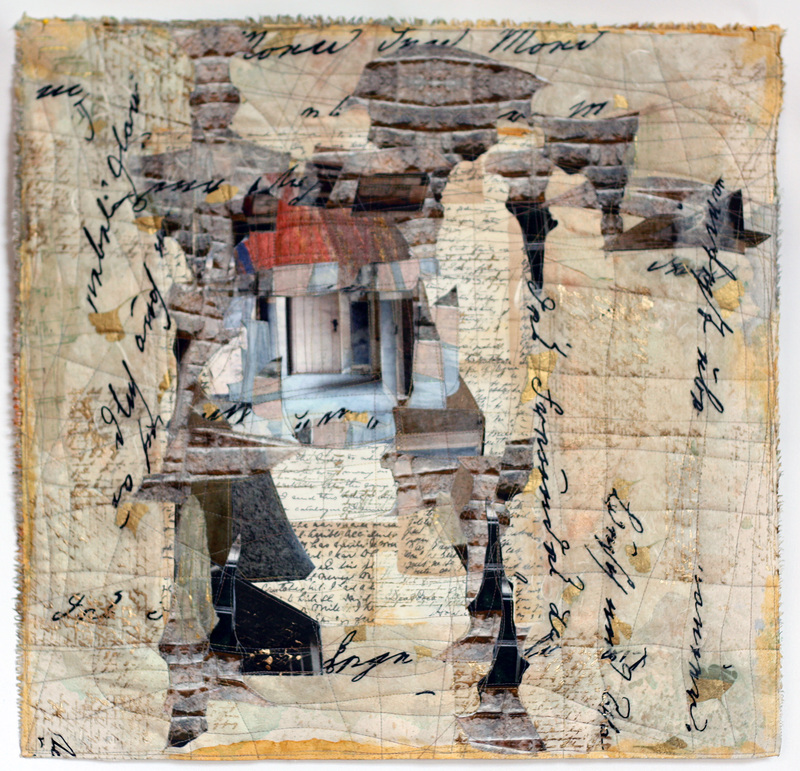 We’ll tap into hidden artistic desires by trying stream-of-consciousness writing, tagging old keys with significant words, turning old wooden thread spools into stitched mementos, working on anonymous photographs and adding text to textiles. 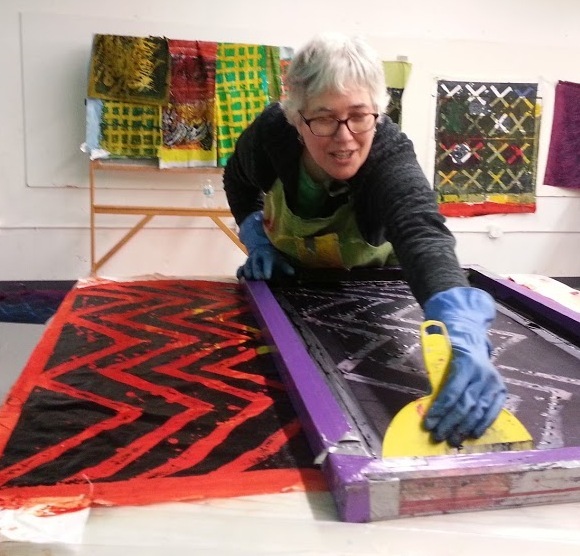 Susan will share her daily studio approaches to making art. 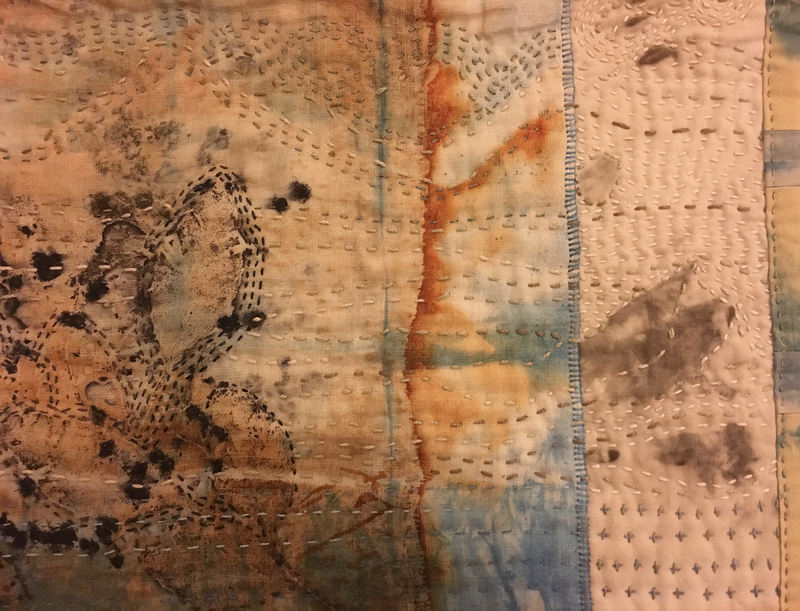 Susan brings most supplies, including grave rubbings on fabric which can be incorporated into an art piece with beads, buttons and old lace. 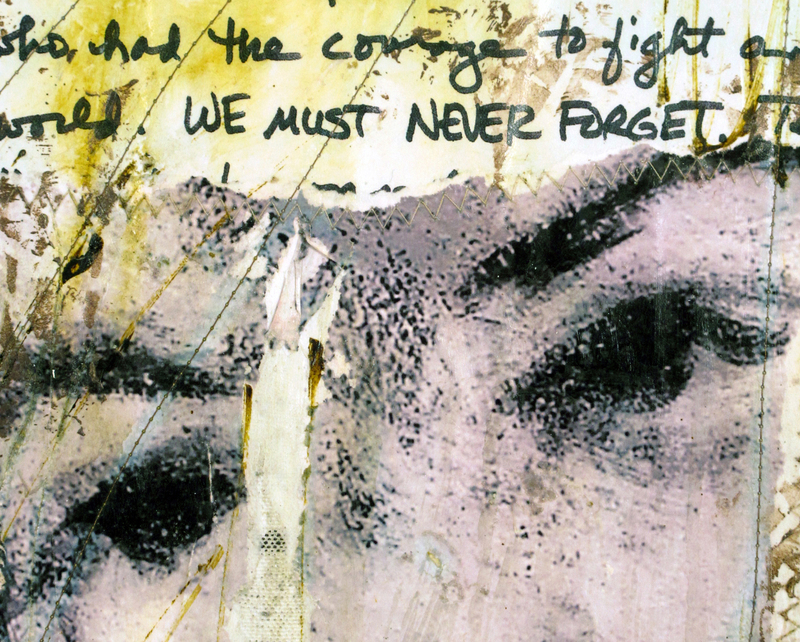 This workshop delves into both memories from the past and hopes for future remembrance. Participants leave with more than a finished work: students also leave with ideas for their own action plan with regards to their own family treasures and personal fiber stash. 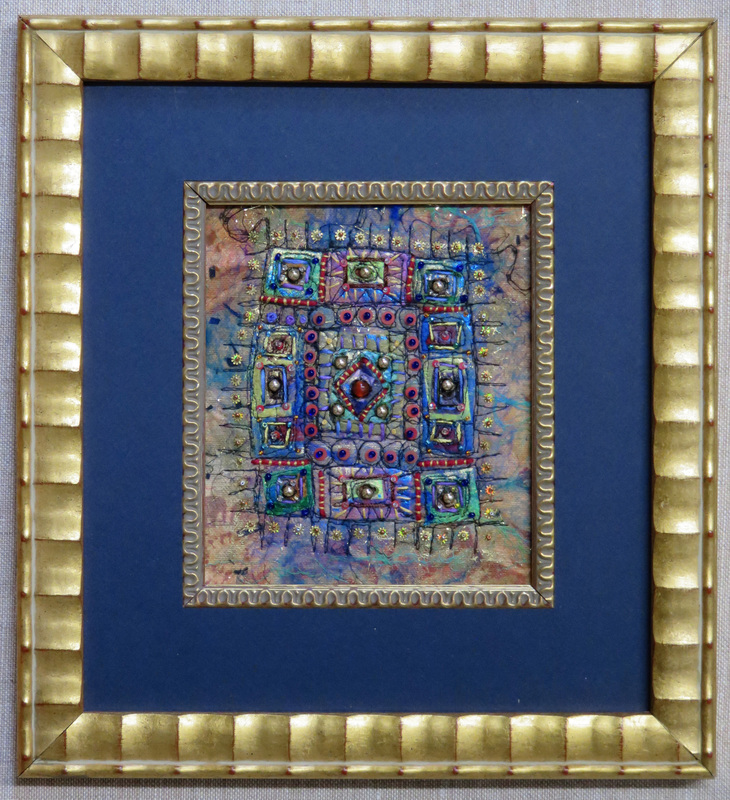 Tips for custom picture framing are included as Susan is a certified professional. Join Pat in learning the quick steps to composing improvisationally by building a composition from pieces you’ve created. 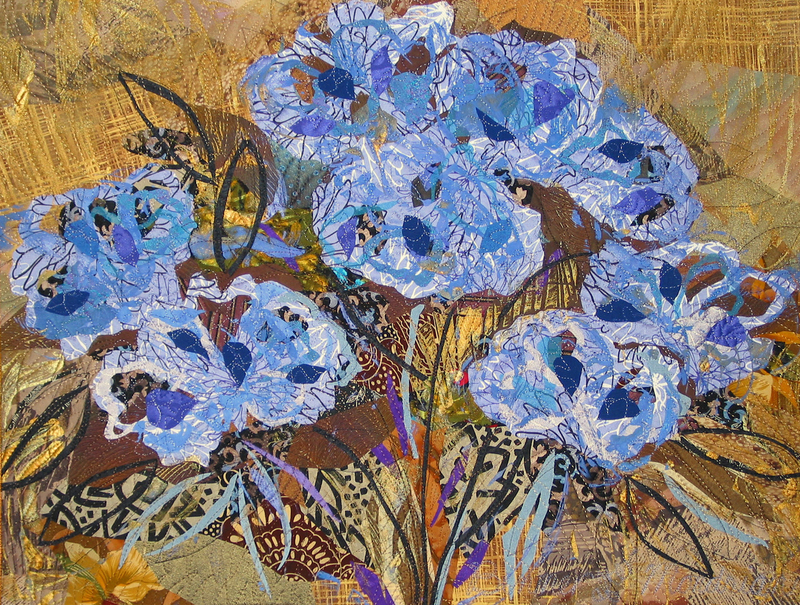 It’s a great way to see how a composition can be made without a plan, pattern or idea – just made as one design grows. This class talks about composition, what works, what possibilities develop and what to take away from the sketch. 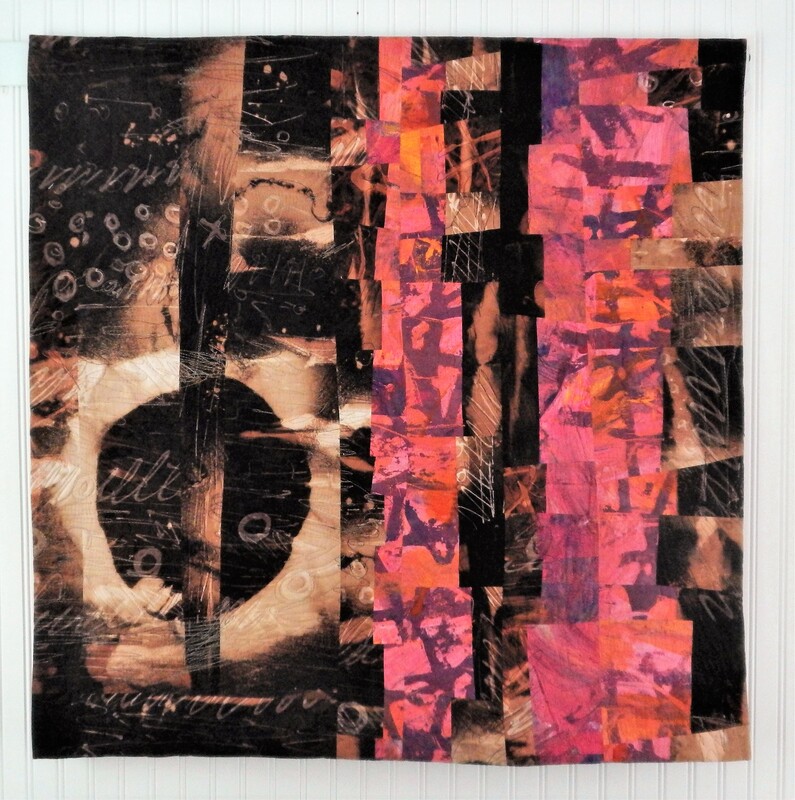 With her handful of piecing techniques, and tips on construction, we will make mini-works that can be the finished art quilt or become the base for larger work that begins a series. We’ll take our improv sketches to a finished set. 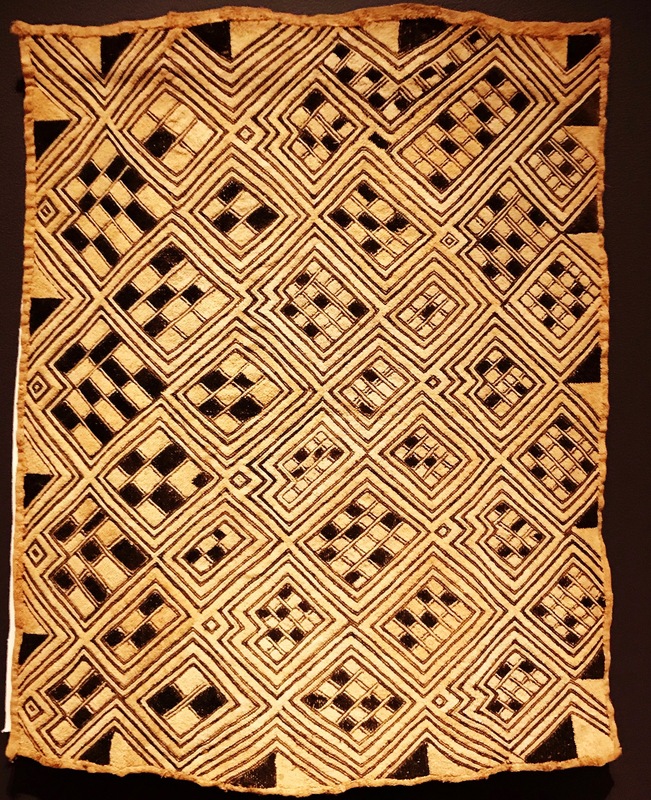 Discover the rhythmic magic of exquisite raffia cloths from the Congo and use their beautiful quilt-like designs as a starting point for your improvisational small quilt top. 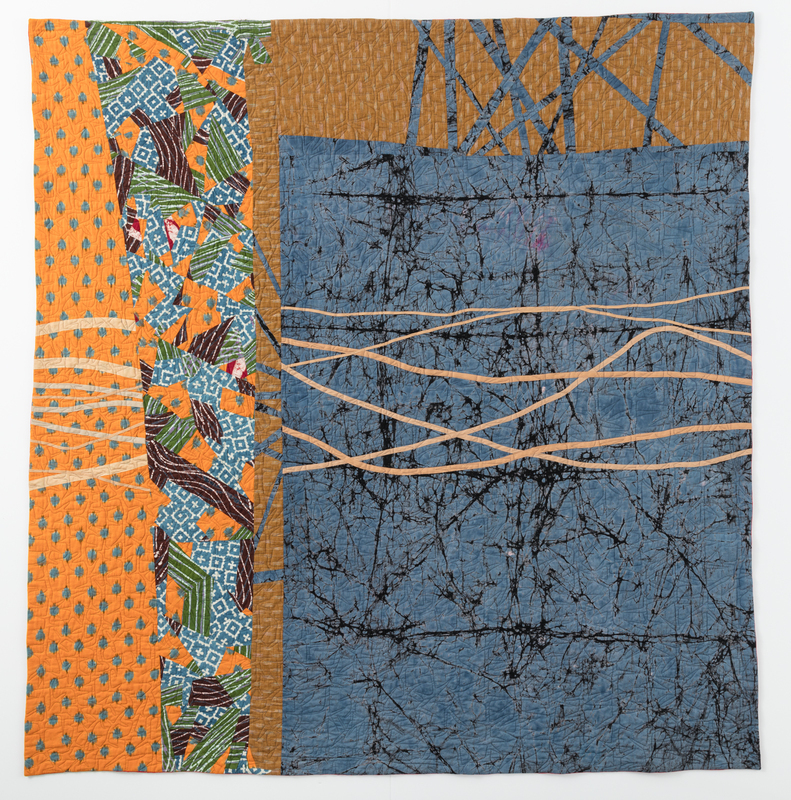 You will see and feel actual examples of these woven and embroidered textiles as you work to make your own piece honoring their patterns. Their beauty inspired Picasso, Matisse and Klee to collect them, so let their unpredictable geometric designs start your magic! Spend a weekend immersed in the strategies of the "Creative Strength Training Program". This is lots of fun but is also instructive. Become a better artist by knowing more about yourself. Dismantle your committee. Play and work simultaneously. No experience needed because you already have all the experience you need! Exercises will include "cross training" which allows the brain to work while the hands are active, discussions on the rebel and on what makes work distinctive, and on the all-important task of learning to use your own life as inspiration for the work you create. Please see description from class 17. This class must be taken in conjunction with class 17. This class is offered only as a 7-day class. 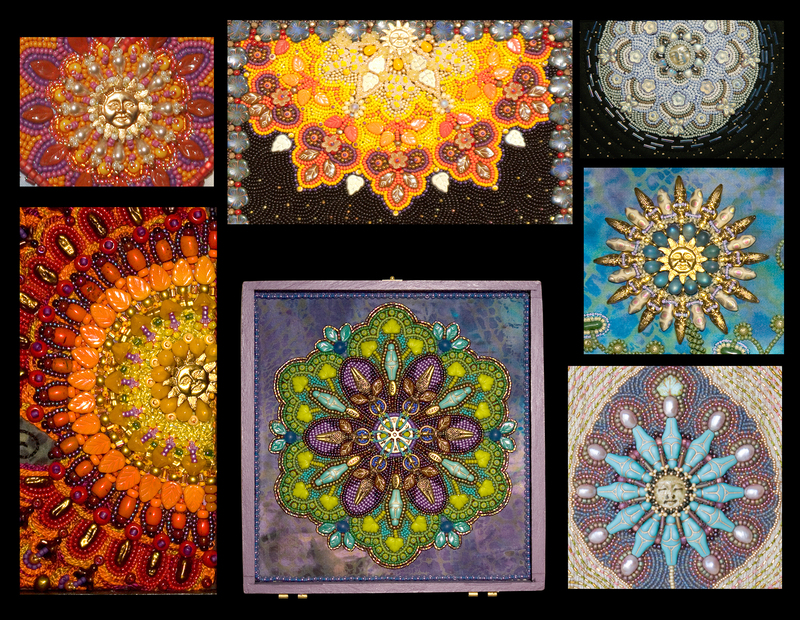 Susan's own process for creating linked fiber shapes will remind you of stained glass. 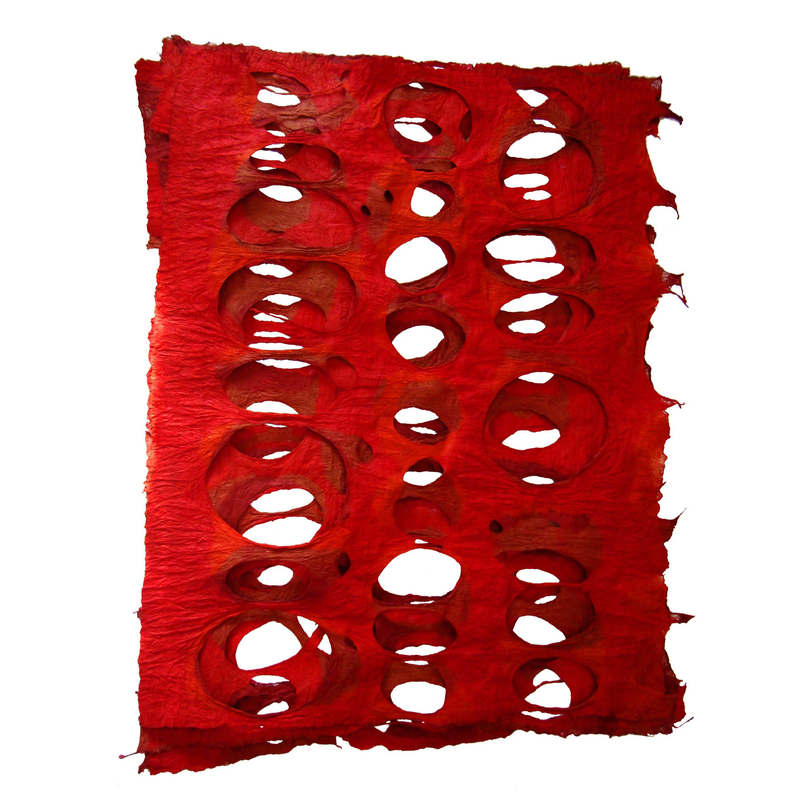 Using layers of polyester velvet, a variety of novelty fibers and recycled acrylic felt, we’ll explore heat activated processes for contemporary fibers. 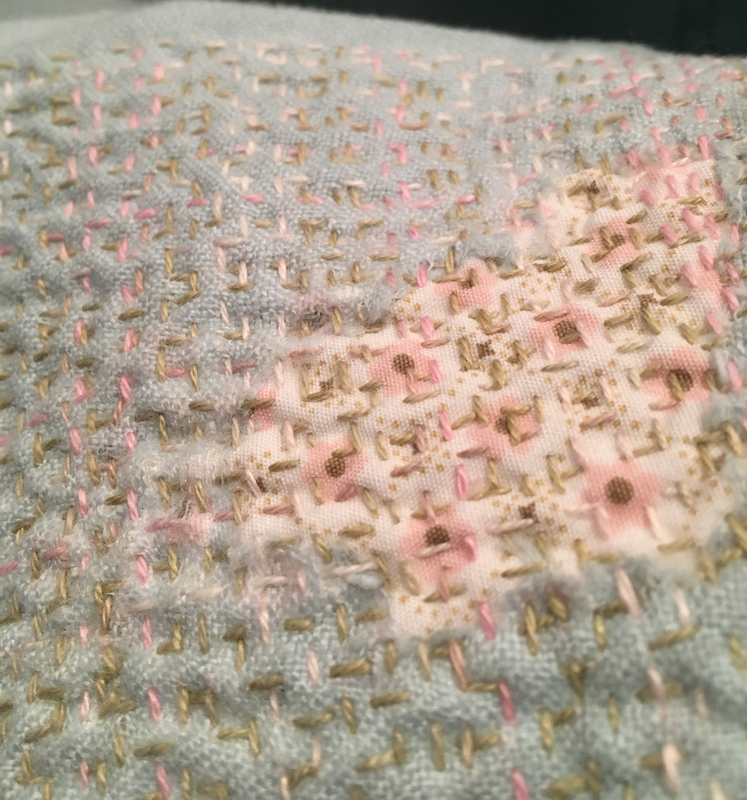 Along with fabric fusing, hand stitching and free machine embroidery, we will experiment with painted adhesives, metallic foiling and melting techniques created with household irons, heat guns and soldering irons. Options are limitless! 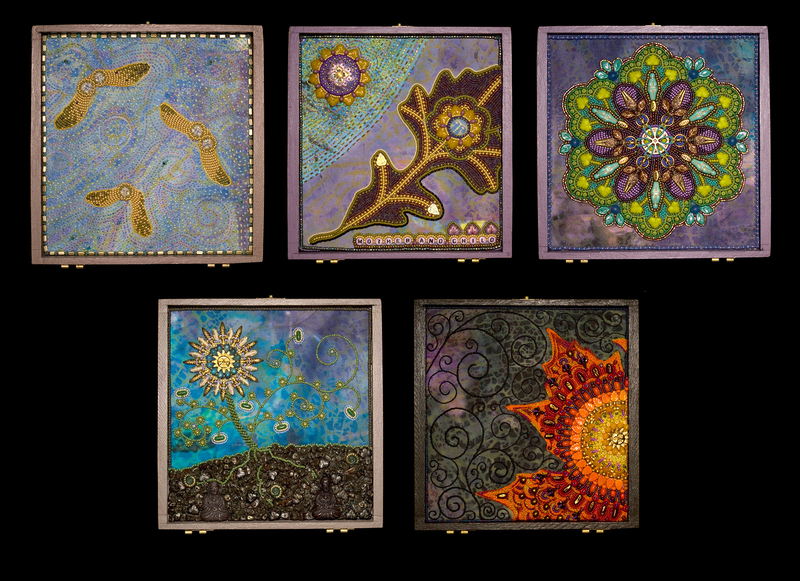 You will have the opportunity to create small, finished pieces mounted into professionally cut mats. 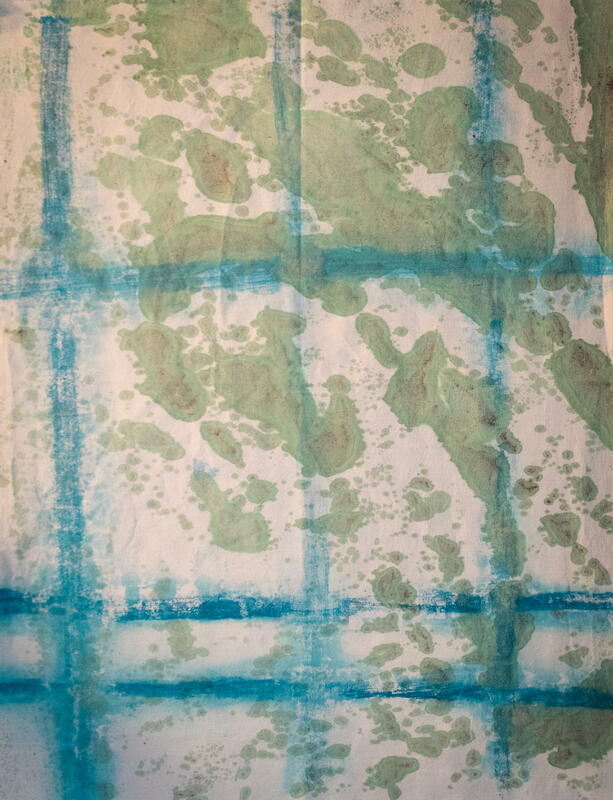 Using fabric paints and previously dyed or solid-color fabrics, students will explore several paint techniques for creating original fabric designs. We will start by forming patterns using found objects. 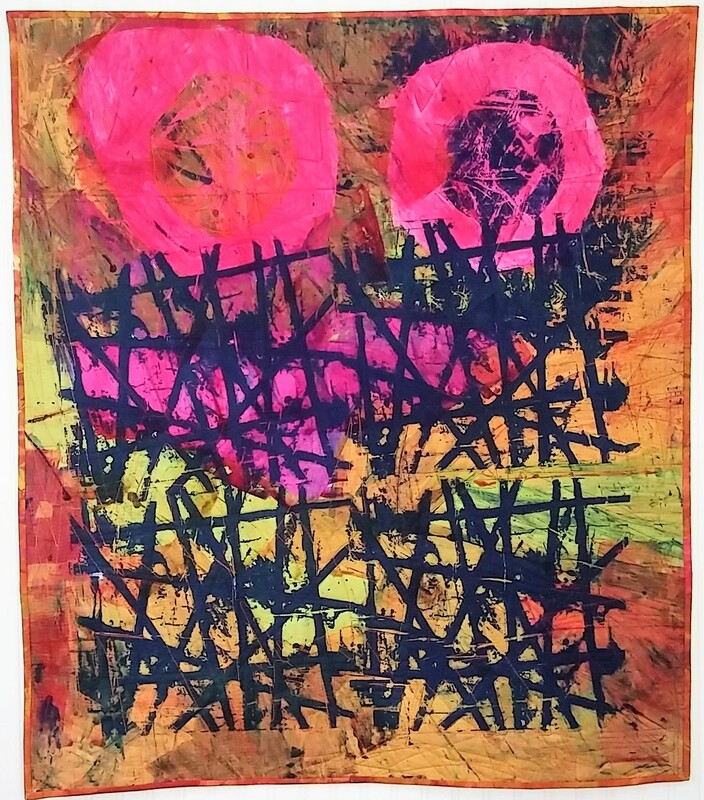 We will then build layers by creating our own stamps, working with silkscreens, batiking with soy wax, exploring monoprinting and more. Be ready to play, experiment and have fun!